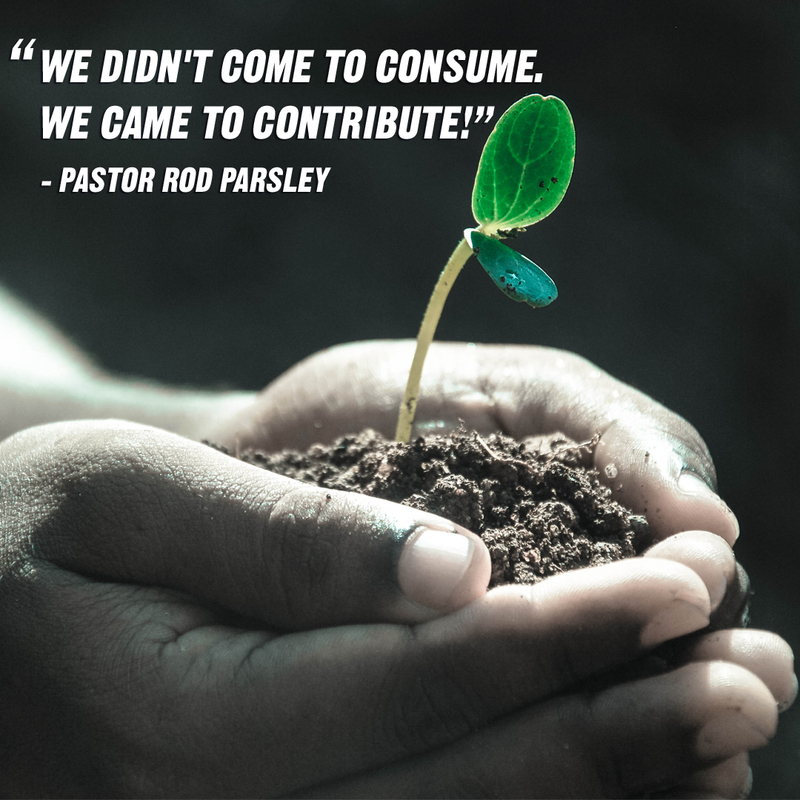 04/11/2019 — As we prepare to sow our Resurrection Seed on Good Friday, we'd do well to remember that we are not merely contributing a significant offering to help meet a church budget – we are benefitting from God's principles of sowing and reaping! 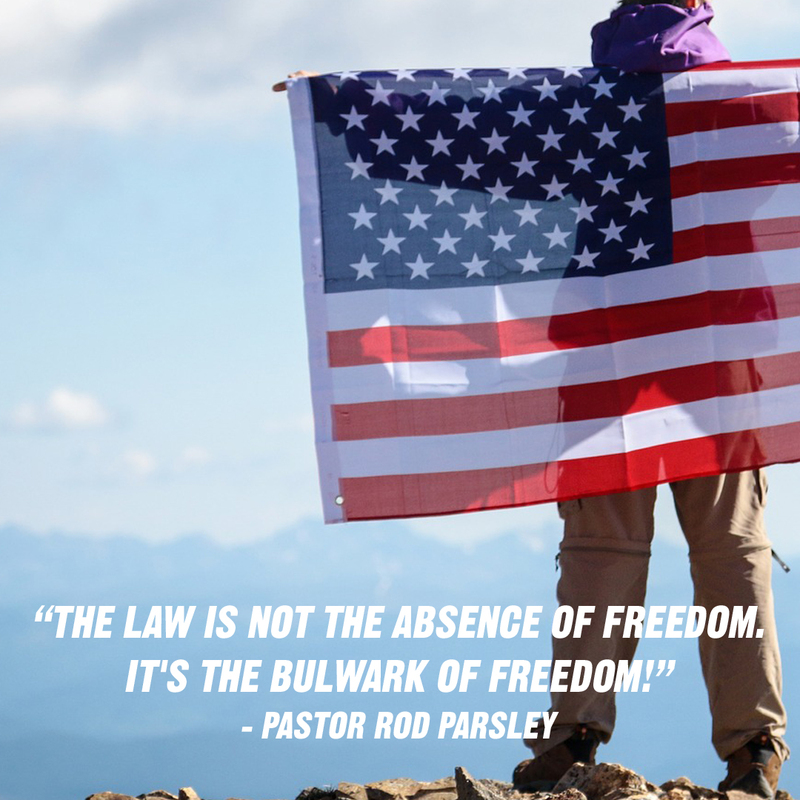 And the more we understand about those laws, the sooner we will benefit from what God wants to do in our lives when we obey Him. The answer to your greatest miracle need has been prepared for you. But you must first activate it by sowing a seed. We really do reap what we sow! As Good Friday approaches be sure to not only prepare your finances to sow a seed, but also prepare your hearts to receive what you need most from God in this season of your life. 04/04/2019 — Communion is one of the church's great sacraments. Observed properly, it is a reminder of God's life and death for our sakes that inspires us for righteous action on His behalf. Reduced to a religious ritual, it's nothing but an appetizer before Sunday brunch. Believers are called to approach communion only after examining themselves, checking their attitudes for gratitude over what Jesus has done in their lives. Then and only then can we celebrate what He means to us by remembering His sacrifice and His victory over death on our behalf! 03/29/2019 — Our Harvest Preparatory School boys basketball team won the state championship! And the boys on the team and coaches distinguished themselves along the way because of their character. They accomplished what no team in the school's history had done before – won the last game of the season on the biggest stage in Ohio! Maybe you've had a triumph in your life recently – a promotion at work, a satisfying end to a difficult situation with your family, surviving a setback or something else. What God wants you to know today is, this isn't the best things are going to get. 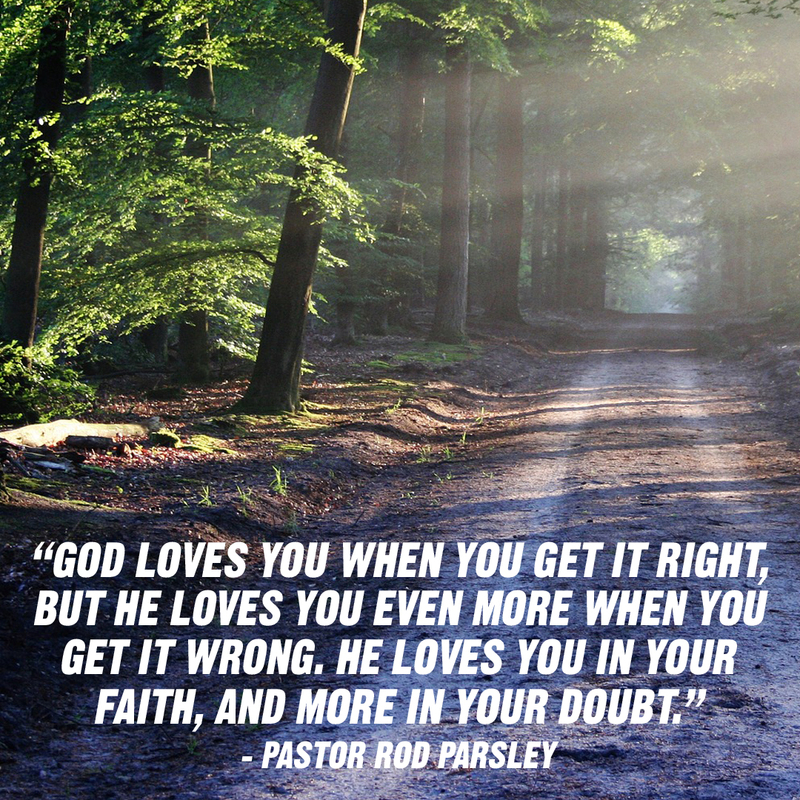 God has more and better for you! Continue to serve Him with all your might and believe for things to get better from here! 03/22/2019 — Salvation is the first and most important step for the believer, but it should not be the end of the story! If you are part of the Body of Christ, you need to seek out the indwelling of the Holy Spirit in your life. The Holy Spirit is an essential component of revival, no matter where it happens – in the Body of Christ at large, in a community, in a congregation and in an individual life. If you are new to WHC or to the Body of Christ, be sure to participate in water baptism and then pray to be filled with the Holy Spirit. It will make a tremendous difference in your faith life! 03/15/2019 — We are beginning Resurrection Seed season at World Harvest Church – a time when each of us engages in accelerated prayer and fasting in anticipation of God granting us our greatest miracle need! It's vital in this holy season to seek God in ways we're not accustomed to – because that is the way to receive from Him in ways we're not accustomed to! In whatever way there is lack in your life, He wants to give you prosperity! Join us on this 40-day journey, ending in Good Friday, so that together we may be a body of believers that shows the community and our world who He is! 02/22/2019 — You can know when Jesus is coming back! Not the precise time or the hour – Scripture tells us that nobody knows that. But we can know when the prophecies that must be fulfilled before His promises return have been fulfilled – and, more importantly, we can live in expectation of His return at any time! Living in expectation of Jesus's return means adopting a lifestyle of holiness. And it means actively encouraging as many people as we can to be ready for the rapture as we can, by loving them toward a relationship with Jesus Christ. 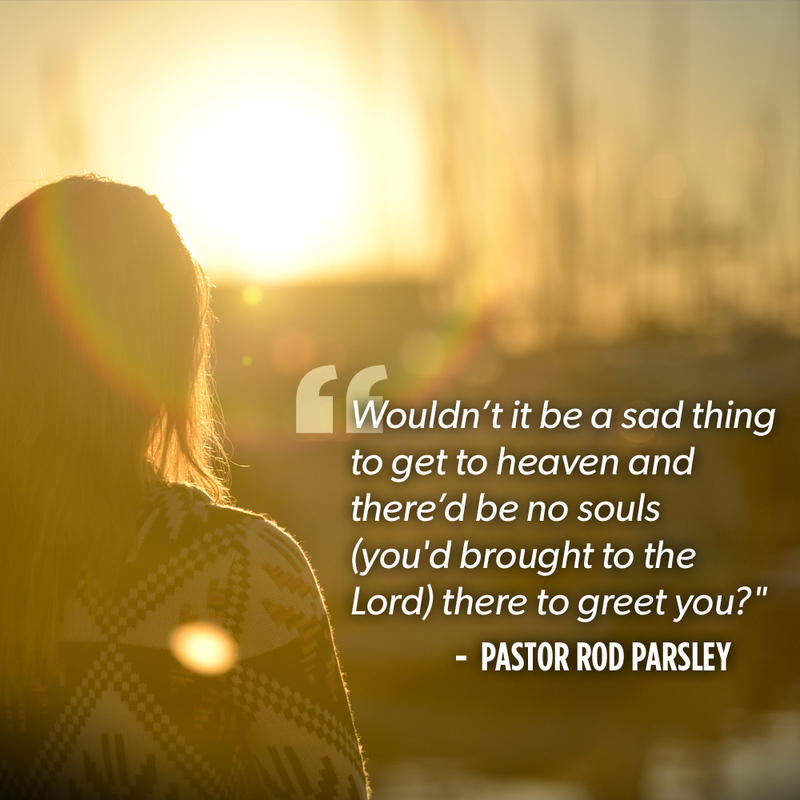 As we do that, we can rejoice in the knowledge that whenever He returns for His Church, we will be taken up to heaven to spend eternity with Him! 02/14/2019 — The Church exists for only two reasons: to win the lost and to disciple the saved. If you're already saved, you have two responsibilities: grow in your faith and win the lost! We do the first when we worship together, but we also need to win the lost during the 160+ hours each week we are not worshipping together! It's time to get serious about our responsibilities to grow the Kingdom by inviting people to come to church with us and experience the overwhelming, never-ending, reckless love of God! 02/01/2019 — Sometimes the wind will lift you when it's at your back, and at times it will hinder you when it is in your face. But we are called to praise God no matter which way the wind is blowing! Like a wind chime, which makes music no matter where the wind is coming from, and is louder when the wind is stronger, we need to praise God when the breeze is light and comfortable and praise Him more when the wind is bringing a storm! Don't let the direction of the strength of the wind in your life determine how you will respond. Your purpose is not to impress your critics! It is to offer praises to God, no matter what is happening in your life. Stay faithful! 01/17/2019 — In 2019 we are being called to a lifestyle of holiness that will preserve us for Kingdom purposes. Continually drawing near to God through prayer and time in the Word makes us stronger, both individually and as a body. Individually, each of us is relatively insignificant. But united for a common purpose, there is nothing we cannot accomplish. Resolve today to persist in the spiritual practices of prayer, Bible reading and corporate worship participation so that together, we may win souls for His glory! 01/08/2019 — The power of the believer’s witness is inevitably tied to the believer’s commitment to holiness – to be set apart from the world, for God. We can be at peace, despite the chaos swirling around us, when we become sanctified. Sanctification is the life-long process of being conformed to the image of God. He will honor our commitment as we become more like Him and less like the world. And when we become like Him, those who are far from God will want what we have and give us the opportunity to add them to the Kingdom. His holiness gives us the opportunity to make disciples! 12/22/2018 — We believe the declaration of our pastor, that 2019 is a year we will experience miracles, both individually and corporately. If 2019 is when the miracle will be birthed, then the remainder of 2018 is your opportunity for that miracle to be conceived. The model of pregnancy and birth suggests to us that miracles need time to grow and developed before coming into the world. As your miracle gestates, you can be confident that God is perfectly preparing the circumstances where your miracle can have the most impact, on your lives and the lives of those you love! 12/13/2018 — Our pastor has declared and decreed that WHC will experience profound and dynamic miracles in 2019, the seeds of which are being planted even now, before the new year begins. What’s required for a miracle to be birthed in your life in the next year? We have an example in Scripture as a model: Mary, the mother of Jesus. She was pure, accepting of God’s assignment on her life and eager to do His will. We can do no less if we hope for God to birth a miracle through our lives. 11/29/2018 — The laws of God begin with what Jesus Christ accomplished for us at Calvary's cross. Because He died as a propitiation for our sins, we have access to the grace of God. Grace, however, does not bring with it license to do whatever we please. God still has laws He expects us to follow. He has made clear in His Word the types of conduct that please him. It's important for us as believers to understand those laws and follow them, because they enable us to win disciples in Jesus's name. 11/16/2018 — A healthy, growing, vibrant church is impossible without a proper relationship between the shepherd (pastor) and his or her sheep (the congregation). 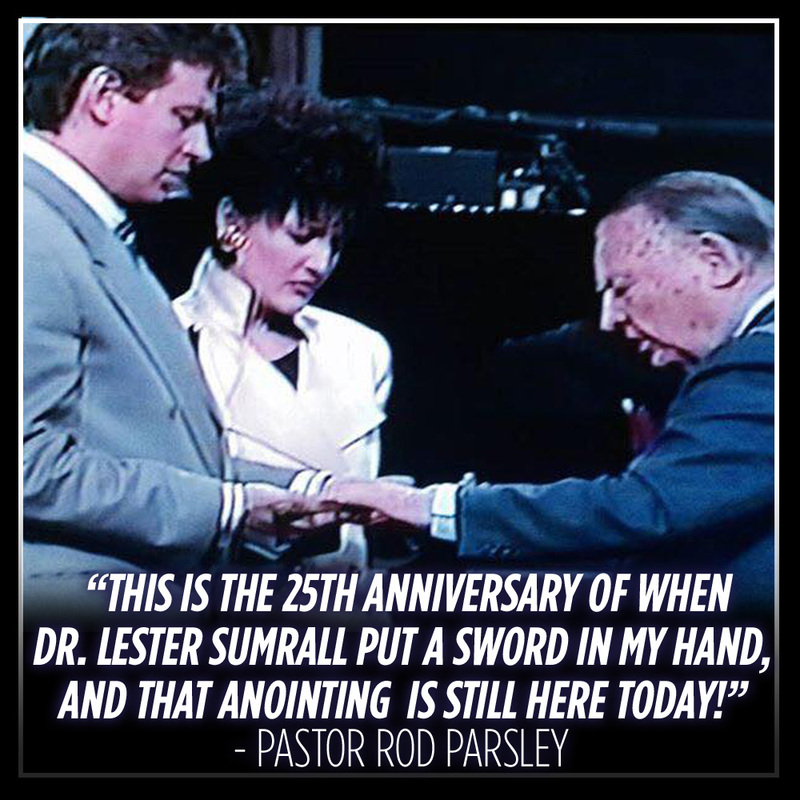 For 42 years, World Harvest Church has been blessed with a pastor who, for all his other endeavors that reach people across the nation and around the world, considers his role as a pastor as pre-eminent. We are Pastor Parsley’s flock! And Scripture exhorts us to honor that relationship. One result of our pastor’s leadership was Sunday night’s NOW is FOREVER Miracle, Healing + Victory Prayer Cloth Service. 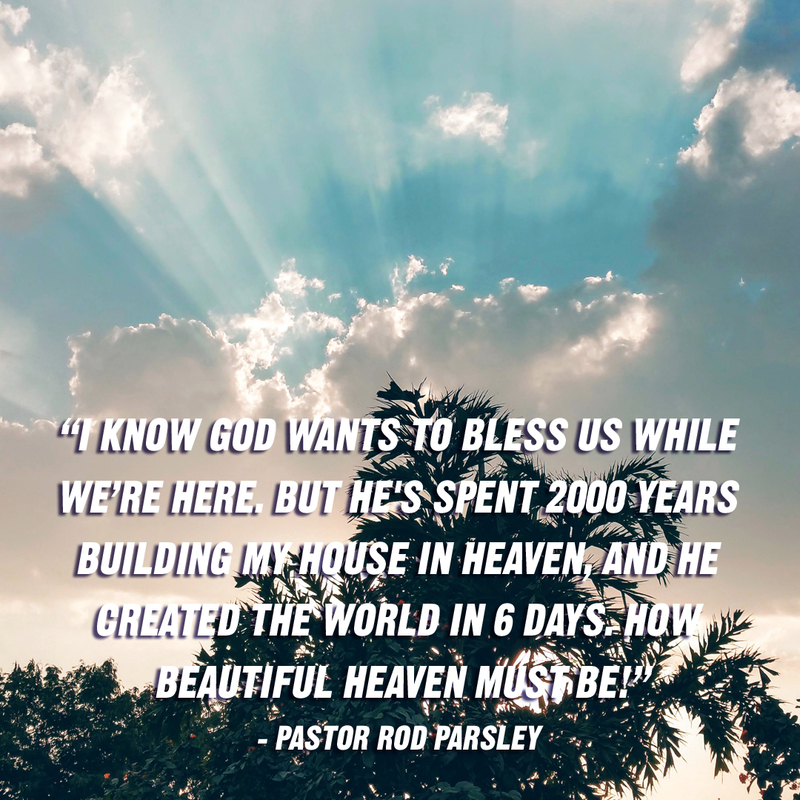 God moved mightily through Pastor Parsley, “Real Talk” Kim Pothier and Bishop George Bloomer. 11/02/2018 — God wants His children healed – in spirit, soul and body. There is ample precedent for His healing, which is shown in multiple ways in Scripture. 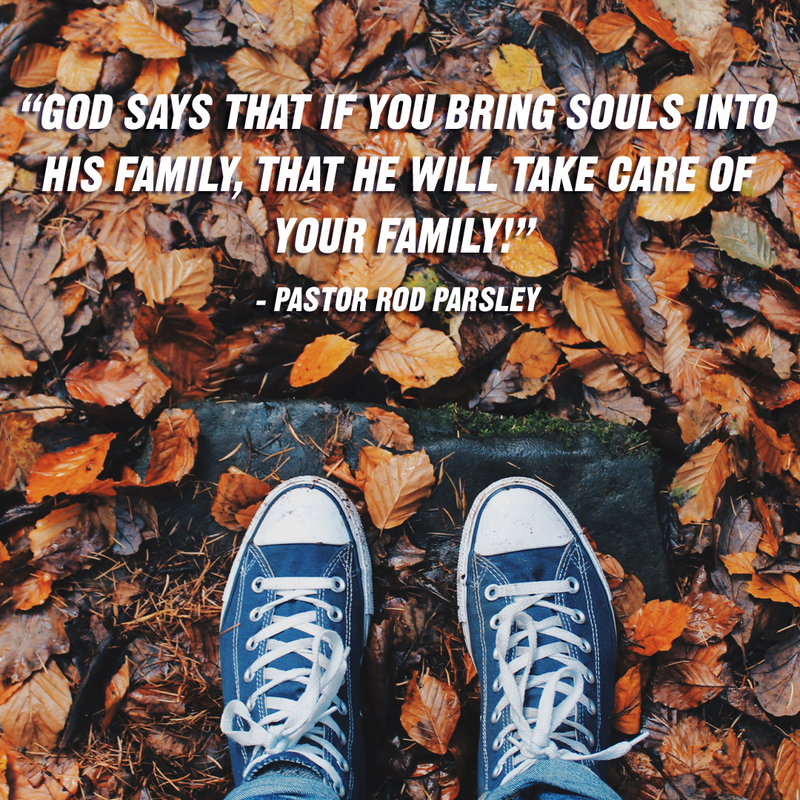 As our November 11 NOW is FOREVER Miracle, Healing + Victory Prayer Cloth Service approaches, it’s vital to focus on the healing you need, your family needs and your other loved ones need. Come expecting for God to meet your every need in this anointed service! 10/25/2018 — The late Fred Rogers, memorialized in the recent documentary “Won’t You Be My Neighbor?,” was an ordained minister and personified the behavior we should adopt with one another. Jesus commanded us to be salt and light in our spheres of influence, including our church family and our neighborhoods. We are the means by which others will understand who God is and how much He loves them. One of the most important steps a Christian can take is to be conformed to the image of Christ, so others can see who He is. 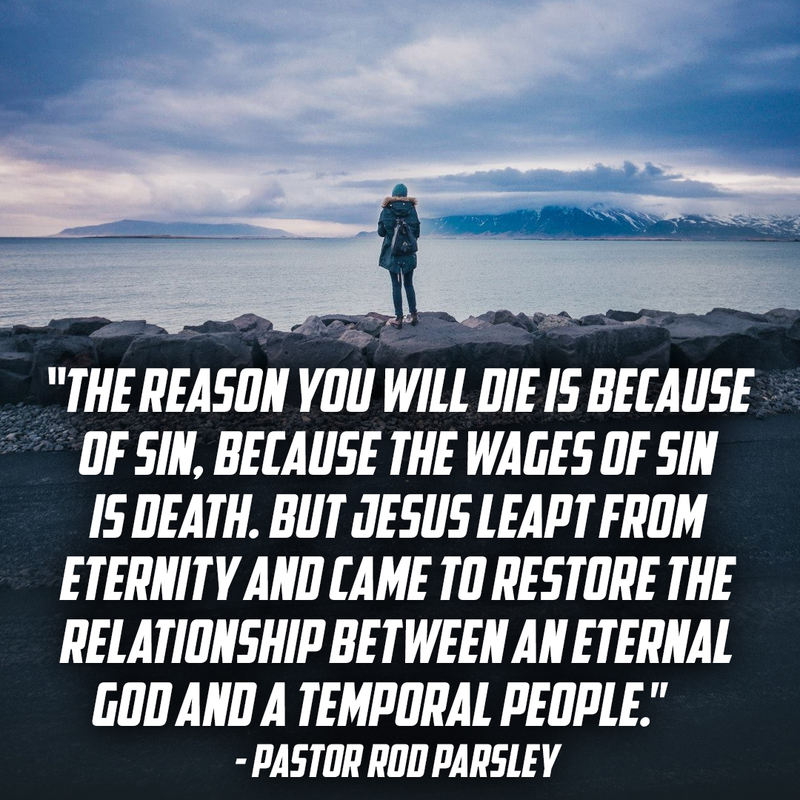 10/19/2018 — God’s grace saves us from what otherwise would be our fate – conviction as sinners and sentenced to a lifetime of separation of God. Jesus, at Calvary, changed all that – He made a way for us to be reconciled to God the Father! But we have to choose that outcome for ourselves. Choose today to live by grace, and to be gracious to others. 10/04/2018 — For too long the Church has been filled with “functional atheists” … people who have accepted Jesus Christ into their lives but act as if everything depends on them and not on Him. 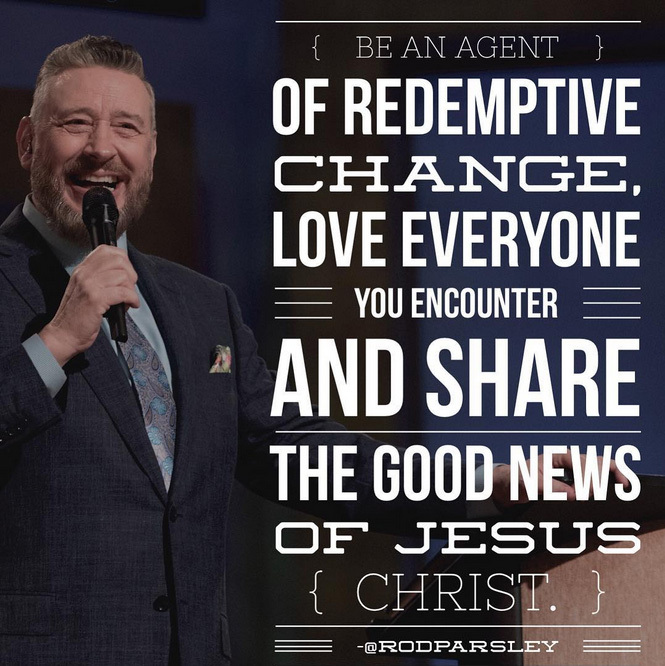 We need a revival, and that means we need for the Church to get radically saved and uncompromisingly committed to sharing God’s love with others. We need to believe that the Bible is true and then do what it says. That’s the only way revival will spread to our friends, neighbors, co-workers and family members! 09/21/2018 — Each of us was born a sinner, condemned to eternal death at the hands of a just God who cannot tolerate sin. But we can choose to live forever instead. God's grace frees us to choose between life and death, between blessing and cursing. Grace frees us to live a life approximating the life of Jesus Christ. Rejecting grace leaves us in our condemned state. Why would we ever not choose grace? 09/14/2018 — God is anxious to do a new thing in your life. He will start by meeting your greatest need and continue by giving you what you desire most. God intentionally operates in seasons. We are about to enter into a new season, as individuals and as a congregation. Are you ready for God to do a new thing in you? 09/07/2018 — Worship is directed at God, thanking Him for who He is and what He has done. Your worship is a weapon against the demonic forces that would seek to derail your life. There’s no situation you can get into that you can’t worship your way out of! 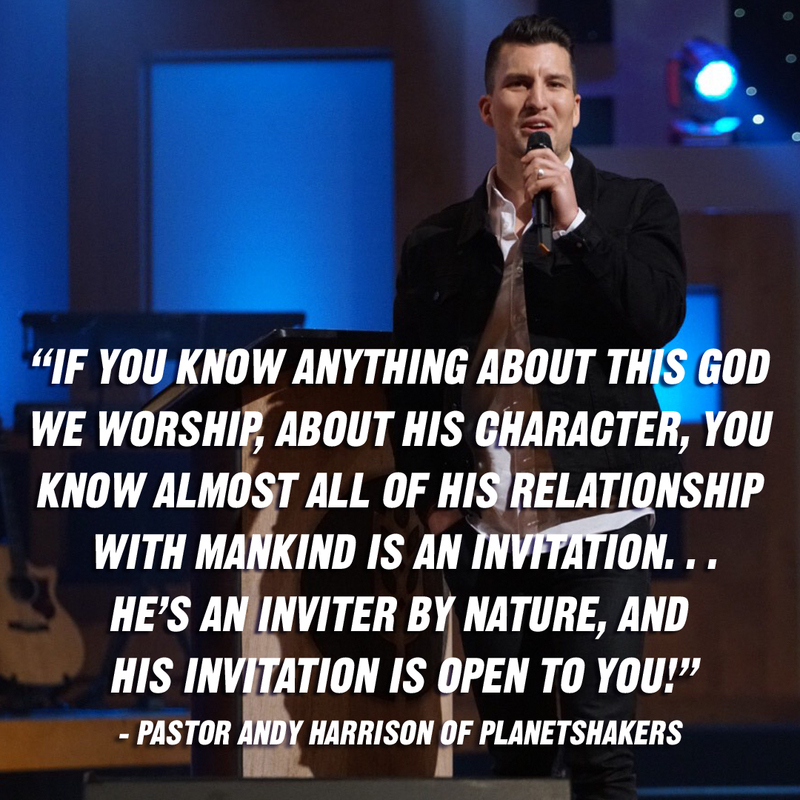 Make worship an indispensable part of your life today. 08/30/2018 — What does your shadow tell others about what you are bringing them? If you are participating in the revival WHC is experiencing, and if you are pursuing God’s presence passionately, your shadow will foretell signs, wonders and miracles that will manifest in your circles of influence. 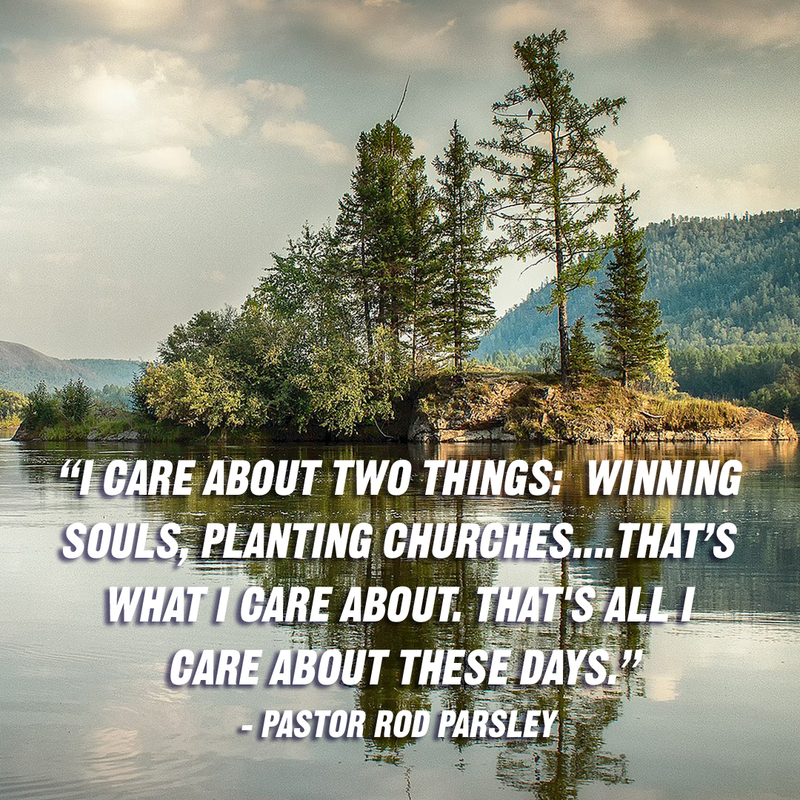 Be intentional about cultivating personal and corporate revival, and watch God work around you! 08/24/2018 — As a new academic year begins in our community and across the nation, WHC is praying for all students, teachers, faculty and administrators at all levels of the educational process. In concert with the season of miracles we are experiencing, we declare and decree supernatural increases in knowledge and insight across the educational process. 08/10/2018 — God is anxious to do a new thing in your life. He will start by meeting your greatest need and continue by giving you what you desire most. 08/07/2018 — God is preparing to do a new thing in Columbus, Ohio, across the nation and around the world! And He's going to do it through the ministry of World Harvest Church. 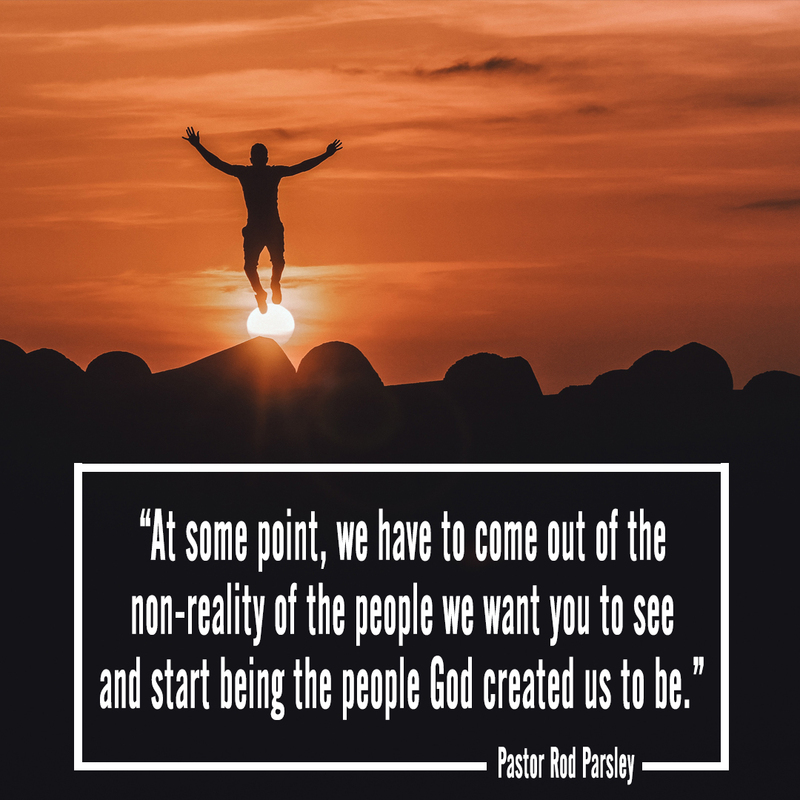 On Wednesday night, Aug. 8 (8-8-18), the new thing God is doing in our lives will begin to manifest and will supernaturally impact our communities and everyone connected with this ministry. Plan now to attend this transforming event, and prepare for it by inviting others to come with you and praying daily in tongues. We are about to become part of His miraculous plan! 07/10/2018 — The great danger churches face in relating to the culture is becoming too much like the culture. In the process, culture-oriented churches become lukewarm, and God deals harshly with lukewarm churches. 06/26/2018 — As the time for Dominion Camp Meeting arrives, and people from around the world gather on the campus of World Harvest Church for a time of refreshing and renewal, each member of WHC has an important role to play. Our agreement of what God will do in the lives of those attending - and in our own lives as well - will activate the Holy Spirit and His movement among those attending. We have the ability to direct divine activity! And it’s more important to do so this week than ever, for our own sakes and for the sake of our guests. 06/19/2018 — Jesus came to Earth to show us the Father. By studying his life, and the lives of godly men in our environments, we can understand that God has a good plan for each of us, that He will protect us from harm and that He will provide for us. Earthly fathers are called to do all of those things for their children, and godly fathers can call upon the Holy Spirit to enable them to model God the Father to their earthly children. 06/12/2018 — At World Harvest Church, we’re hearing and singing about God’s grace because the world needs a revelation of that grace! We need to act as though we understand the depth and the persistence of God’s love for us. 06/05/2018 — The life of faith, and faithfulness, attracts the attack of the enemy. 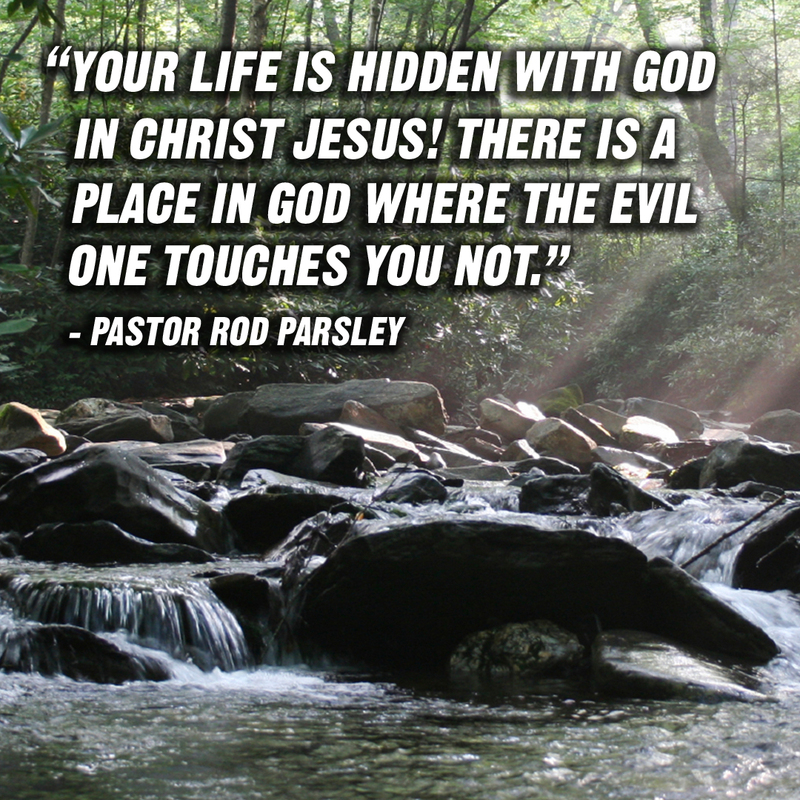 It’s not unusual to be afflicted; it’s proof you are worthy of the devil’s attention! 06/01/2018 — Bartimaeus took advantage of Jesus being in Jericho and cried out for Jesus to heal him. 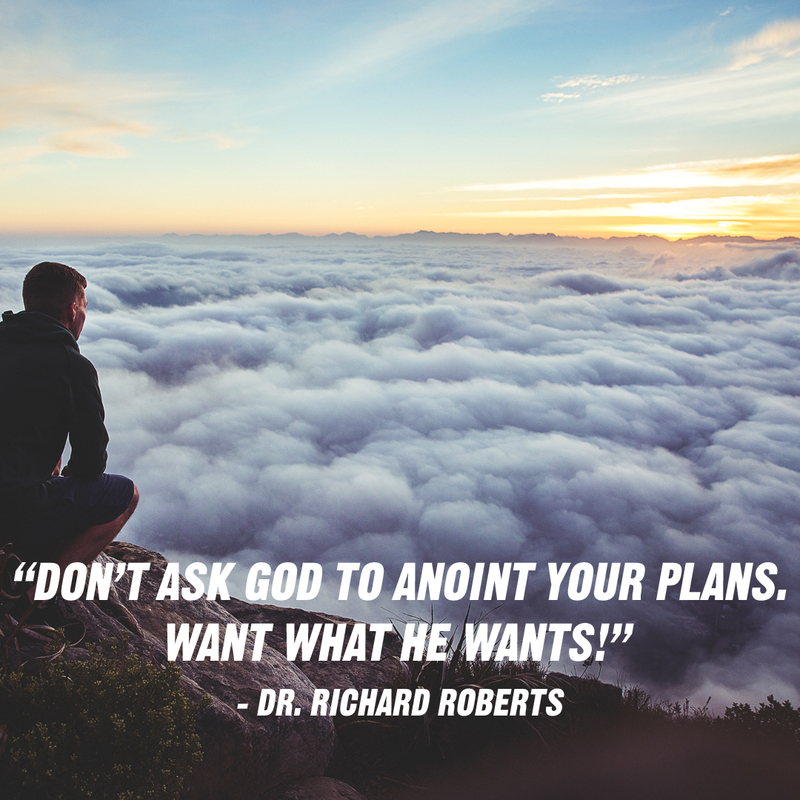 What do you need from God, and are you willing to cry out to Him to ask for it? The proof of your desire for Him is measured by how assertively you are pursuing Him! Find someone who needs what you need and become partners in seeking His mercy and grace together. 05/24/2018 — Pentecost is when the Holy Spirit fell upon followers of Jesus for the first time. 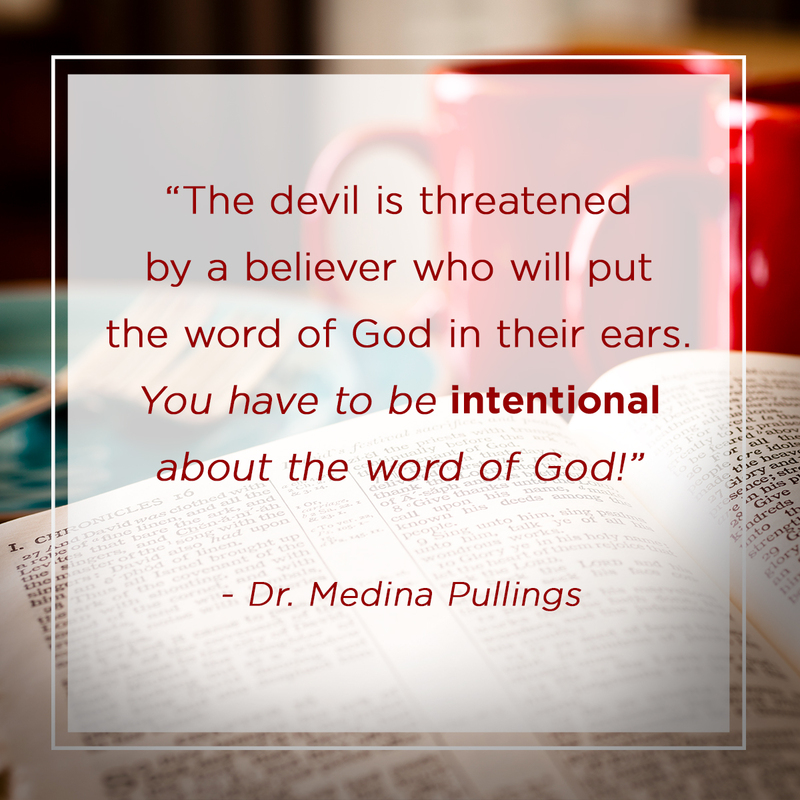 And because He lives within every believer, you have the power to lead others to Jesus, cast out devils, deliver them from addictions and be a sign and wonder to people in your circle of influence. 05/18/2018 — God created two institutions, the Church and the family. And He gave mothers an integral role in the family, one which must never be minimized as secondary or one of unwavering submission to male authority. 05/10/2018 — One of the great frustrations in the Church these days involves a misunderstanding of grace. It is, tragically, too often taken as the basis for license – the assumption we can do whatever we want and remain in God’s favor, because we prayed a salvation prayer once upon a time. 05/04/2018 — Thank You for inhabiting my praises! 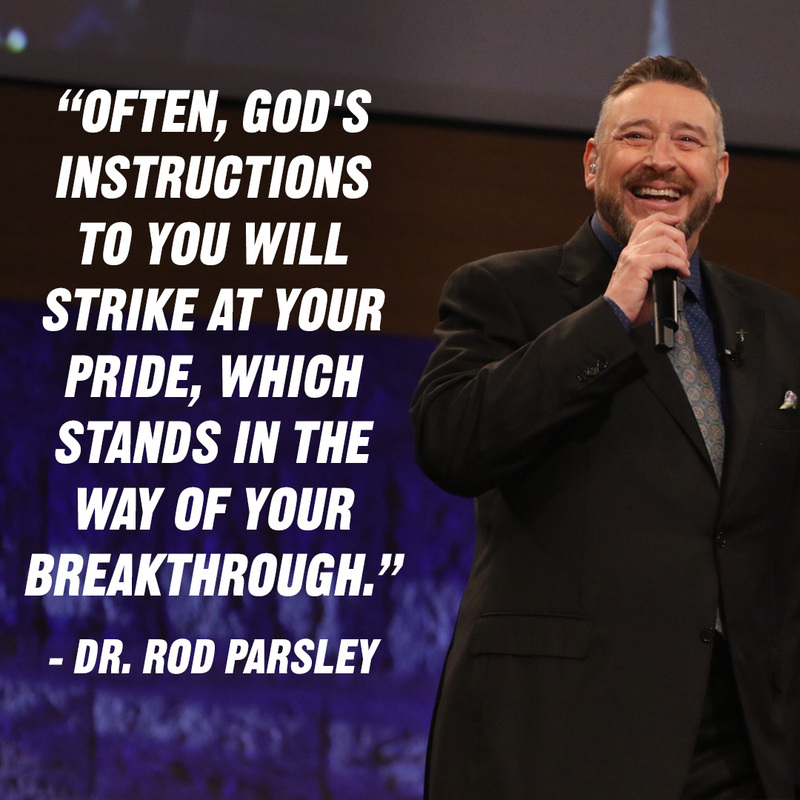 Order my steps that I may never fail to praise You for Your mighty works for all You've done and all You're going to do in my life and in my circles of influence. 04/27/2018 — We call God Jehovah Jireh, our Provider, but rarely do we acknowledge that His provision is often in response to our obedience to Him. 04/17/2018 — What would you do to get to the house of God? Many of us got in our cars and drove here without a second thought. Kiki took two city buses and then walked two miles with the aid of a walker to get to World Harvest Church. 04/03/2018 — Mankind’s nature is to fear. 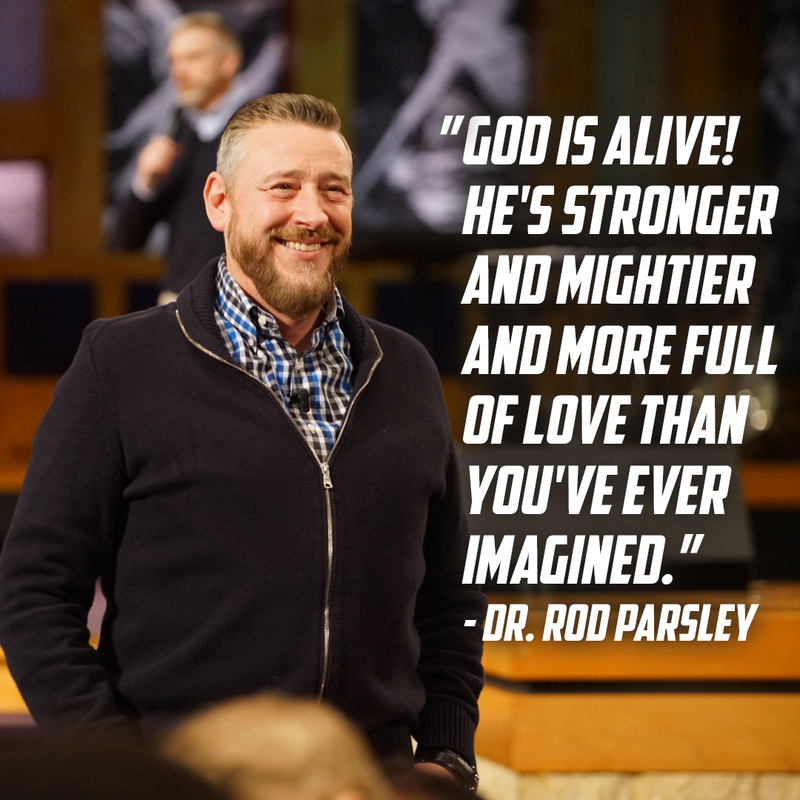 God’s message in the death and resurrection of His Son, the Lord Jesus Christ, is “Fear not!” The choice to be transformed through faith in Jesus leads to a divine assurance that you need never fear anything again. 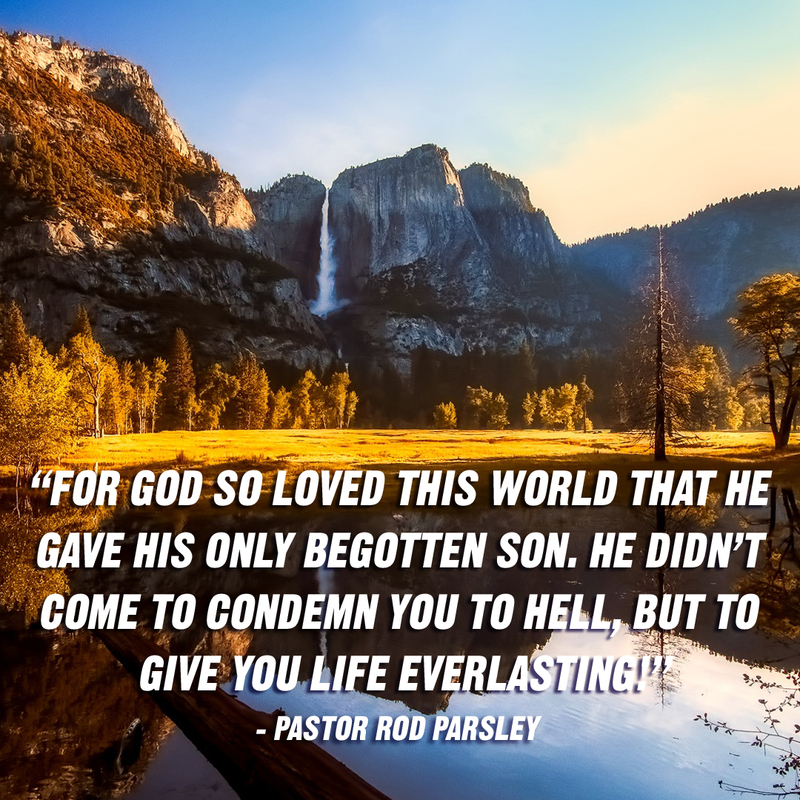 God sent His Son to the cross so you would spend eternity with Him. The choice to be assured of Heaven and avoid hell is possible because of the death and resurrection of Jesus. It’s that simple, and that important! 03/27/2018 — World Harvest Church is in its 33rd Resurrection Seed season. 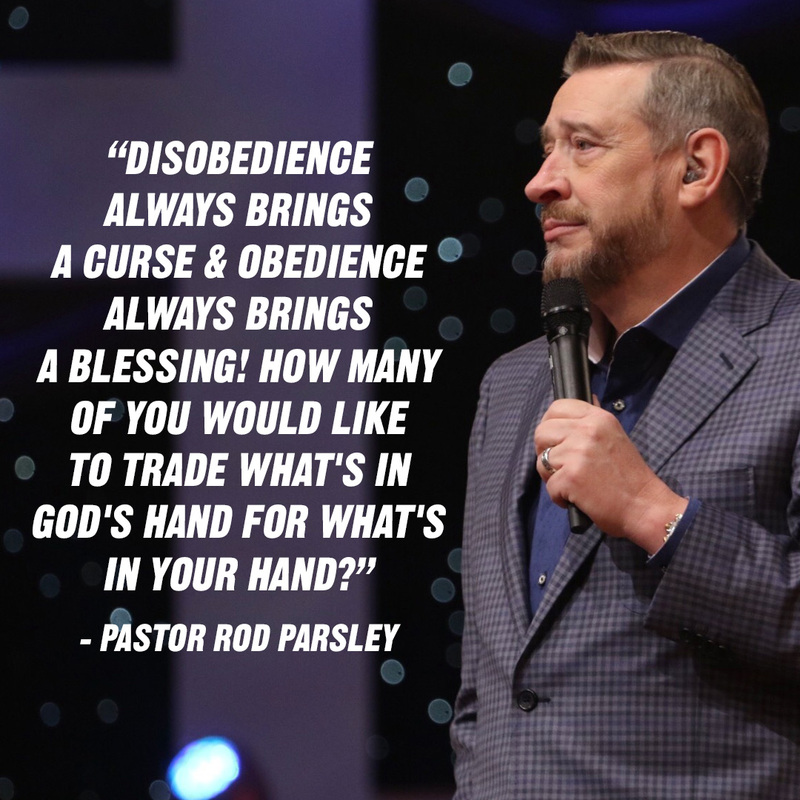 Since God gave the revelation of Resurrection Seed to Pastor Parsley at age 28, members of WHC have encountered countless miracles of all types, because they have embraced the biblical laws of sowing and reaping. What will God do when we give Hhim everything? Signs, wonders and miracles! 03/20/2018 — God is absolutely committed to meeting His children’s needs! It is not His will that any of His sons and daughters experience lack. So He blesses us, and that gives us the opportunity to be a blessing to others – both directly and through giving to advance the Kingdom and have the Gospel preached in every nation. In this Resurrection Seed season, we are praying and fasting and gathering our seed so we can both demonstrate God’s goodness to us and share that goodness with others. 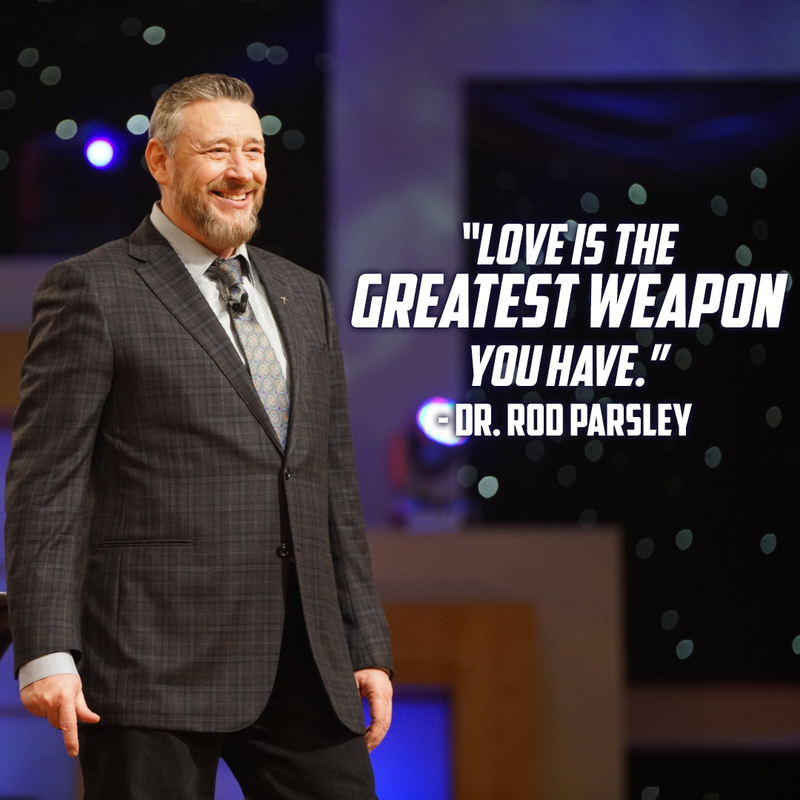 That’s how we love God and love people at World Harvest Church! 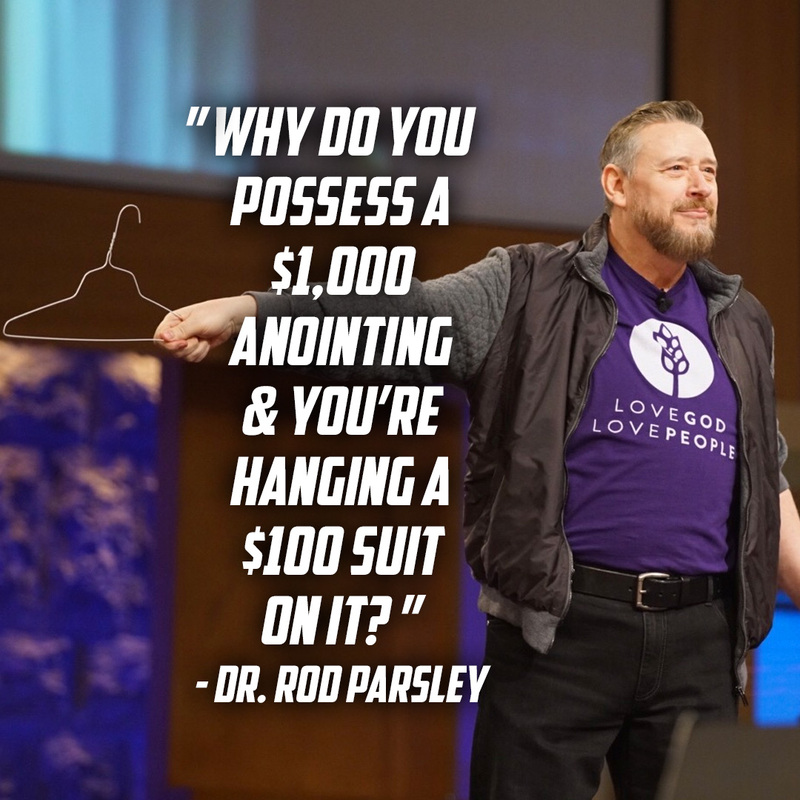 03/15/2018 — Being connected with a five–fold ministry gift is the key to tapping into God’s abundance! Romans 10:14 tells us that in order to call upon Him we must first believe Him. To believe Him, we must hear of Him. 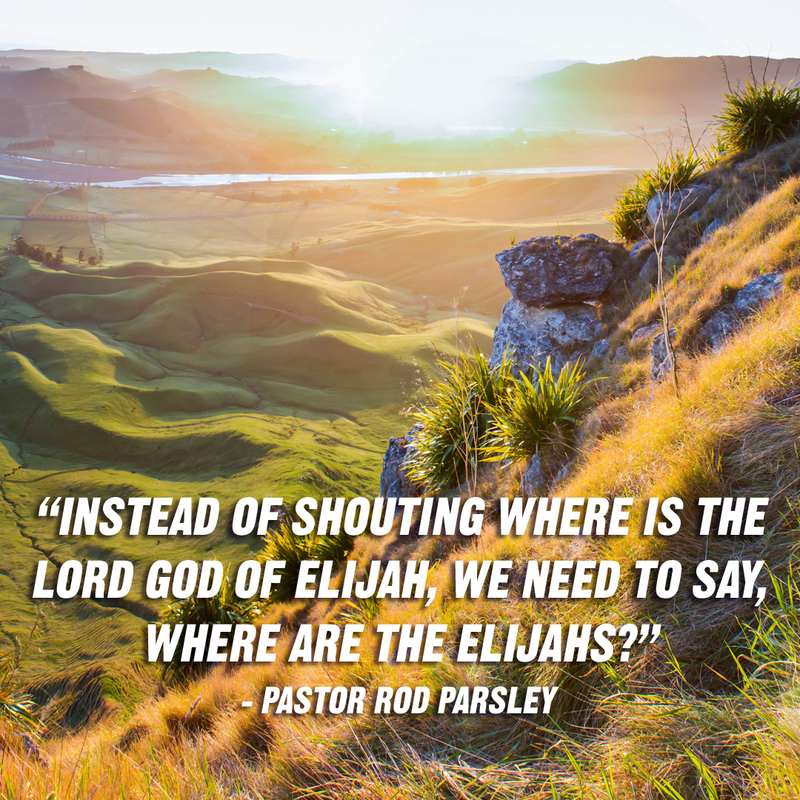 But we cannot hear of Him without a preacher! Getting connected with a Bible–believing church allows you to not only hear the truth about our need–meeting, desire–meeting God, but also tap into the power of agreement that comes with like–minded believers who are aligned with God’s Word. 03/09/2018 — Jesus is concerned with your finances and with your giving – that's why He taught about money more than any other subject. As we proceed through this Resurrection Seed season, pray about the seed you will sow and ask God to provide that seed. He is faithful! Focusing on God and His goodness through prayer, fasting and sowing seed gets God's attention. 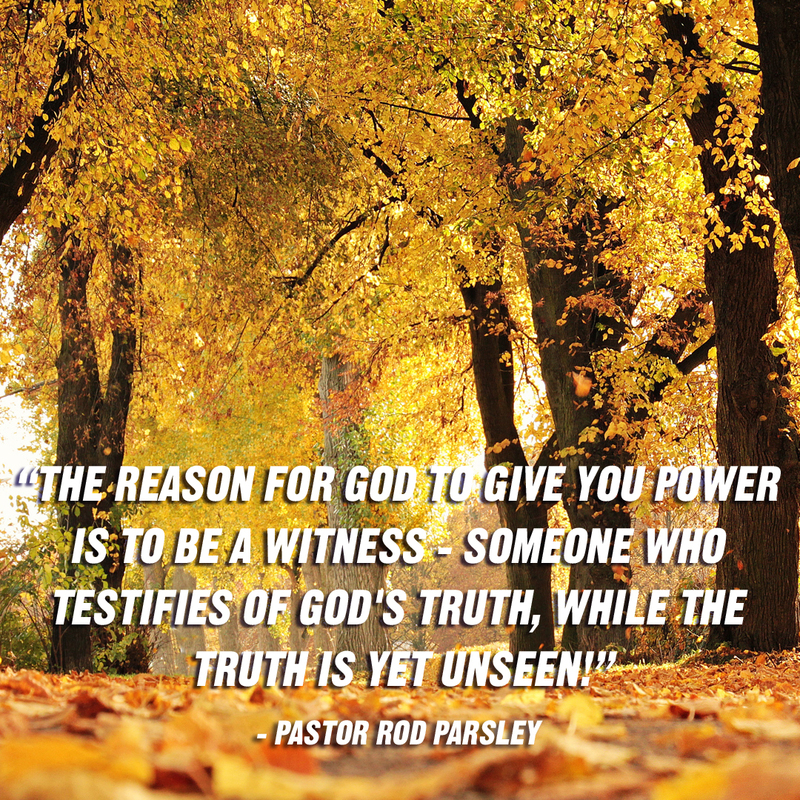 And this ministry has a great track record of experiencing the miracles its members have believed God for. 02/27/2018 — World Harvest Church is in a season of miracles. 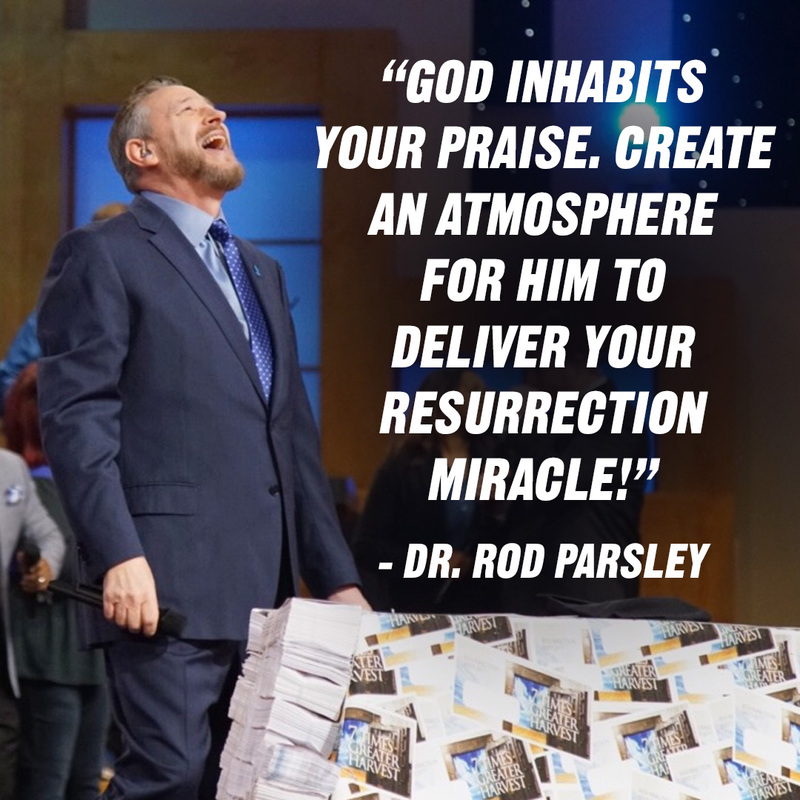 During this Resurrection Seed season, similar to the first Resurrection Seed season, we are experiencing healings, deliverances, family salvations, financial breakthroughs and other miracles. That’s the result of a lifestyle of prayer and fasting. God always honors the act of seeking Him. Don’t stop praying and fasting - your miracle is on its way! 02/20/2018 — This is a season of miracles! As we begin a new Resurrection Seed season, 40 days leading to Good Friday, we are expecting profound signs, wonders and miracles to bless all members of the WHC family, and the people they influence! Miracles are the product of a lifestyle of fasting and prayer. Individual and corporate fasts, and devotion to prayer, will create an atmosphere in your life where miracles can flourish. Devote yourself to prayer and fasting, and watch what God will do! 02/13/2018 — Baptism demonstrates the core of the Gospel’s message - it includes a death, a burial and a resurrection. Nothing magic happens when a person is baptized. It’s an outward demonstration of an inward transformation. But your baptism is important, because it’s your first “sermon“ as a new Christian - a declaration that you have been washed clean of your sins and confidently beginning a new life as a son or daughter of God the Father. 01/26/2018 — When you are living right, thinking right, speaking right, giving right and praising right, you give God the opportunity to move supernaturally in your life. Often, that movement will involve positioning you to make a positive impact in the lives of others, inside and outside of the Church. Prepare to become a man or woman of influence in our culture because of your relationship with God! 01/16/2018 — This can be your year of supernatural increase! God has someone watching you who is in a position to bless you beyond your wildest dreams. Receiving what God has for you requires an approach to living that is simple but challenging. When we live right, think right, speak right, give right and praise right, we position ourselves for supernatural increase. 01/09/2018 — God has decided to use you to further His Kingdom – it’s in the Book, and what He has written in the Book will come to pass! Believers who are consecrating themselves before God – fasting and reading (eating) His Word – are preparing themselves for doing what God has willed for them. He has scripted your story, and you win because you are His! God and His Word always prevail. 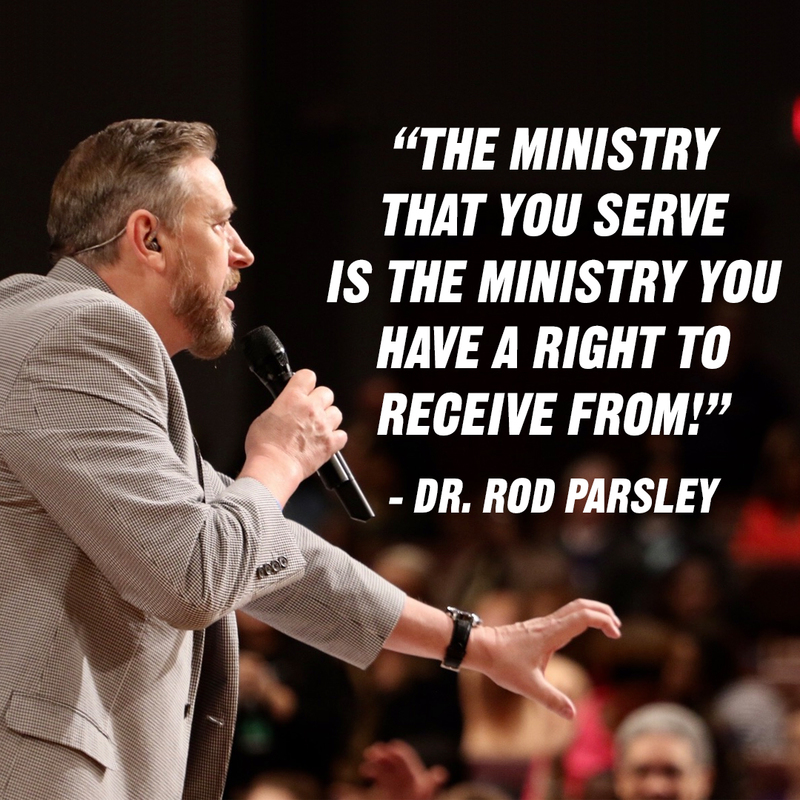 01/05/2018 — The course of this ministry for 2018 will continue the path begun this year, when Pastor Parsley released a vision for the next decade of his life. We're determined to finish the great initiatives begun last year in the areas of church planting, missions, evangelism and discipleship! Believers attached to this ministry are strongly encouraged to consecrate themselves for the first 21 days of the new year, and to praise their way through the attacks of the enemy. 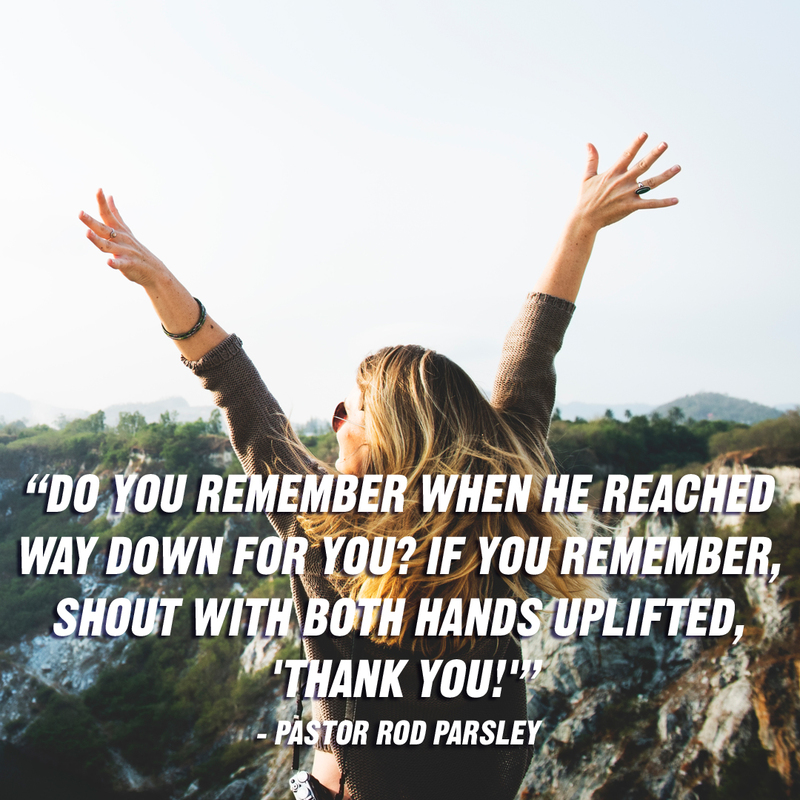 Praise paralyzes the assignments set against you - use the weapon of praise against those who would prevent you from achieving what God has meant for you to accomplish! 12/29/2017 — The setting for Jesus's birth is one we would assign to a baby born to a family of extraordinarily low social standing. It's better understood as a metaphor for the sinful world to which God chose to send His only Son. Christmas cures the abhorrent condition mankind and this world are in. Jesus brings and is the cure for our sins! Accepting Him is our great command and privilege in this holy season, and every other season. 12/21/2017 — Jesus came to Earth in humble surroundings for each of us. He came to know us, and that we may know Him. We'll all have an encounter with Him one day. Jesus is God in the flesh, and the Bible says that He can be known and that He is a rewarder of those who earnestly seek Him (Hebrews 11:6). Our responsibility and great joy is to know Him — not only as a baby, but as Lord and Savior. 12/12/2017 — Water baptism is a critical step in our development as Christians. 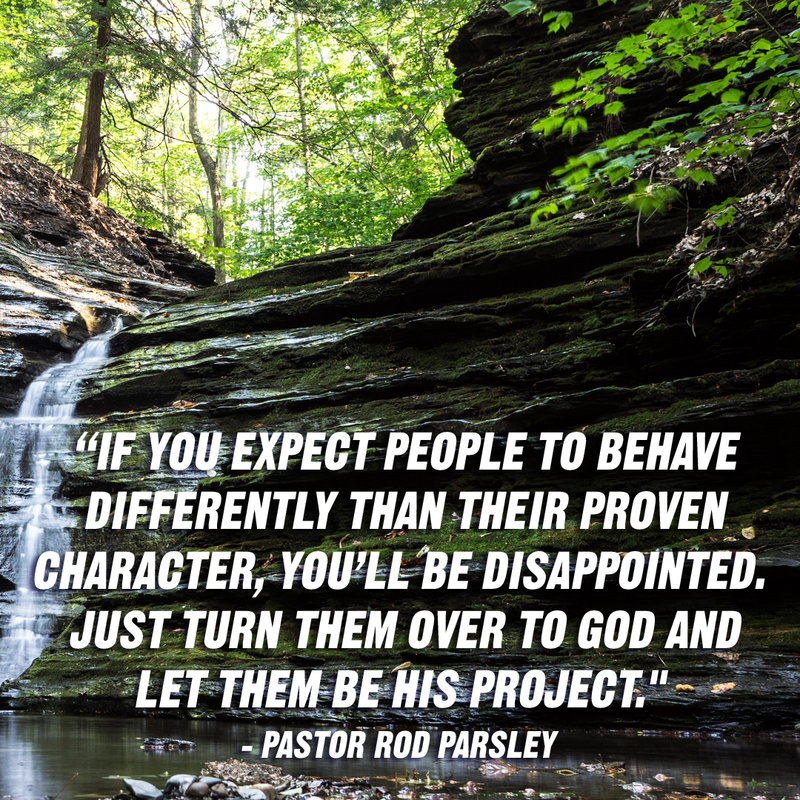 Unfortunately many churches neglect it. Baptism is both an outward sign announcing our inward transformation, and a supernatural cleansing of our souls. We are to both repent and be baptized. 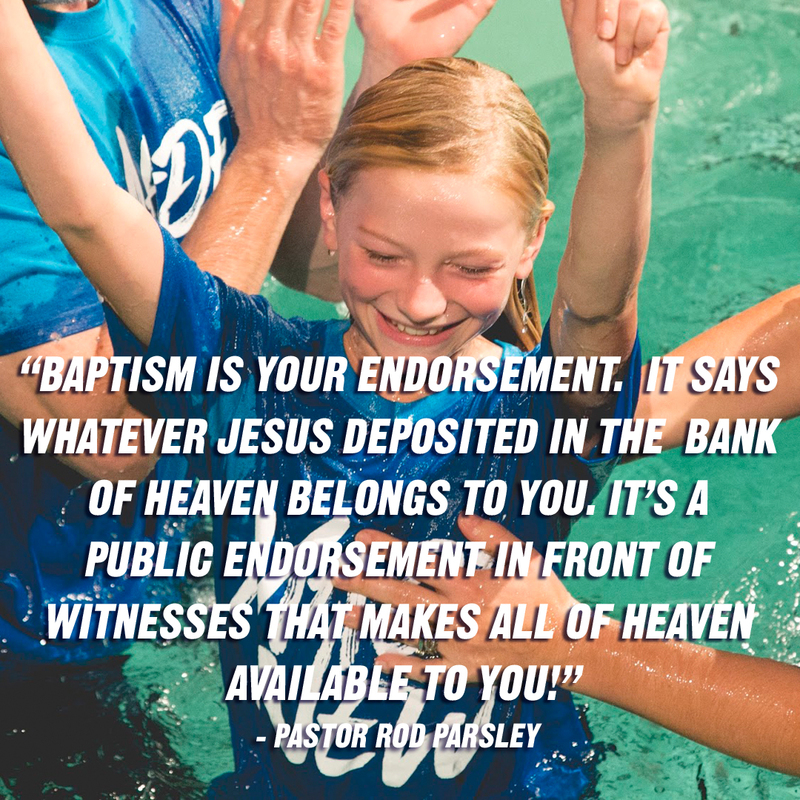 Our baptism separates us from the world, and forever identifies us as followers of Christ. It is not an initiation ceremony into the Church; it is the fulfillment of our promise to be made holy, which we initiated when we repented of our sins. Believer, be baptized today! 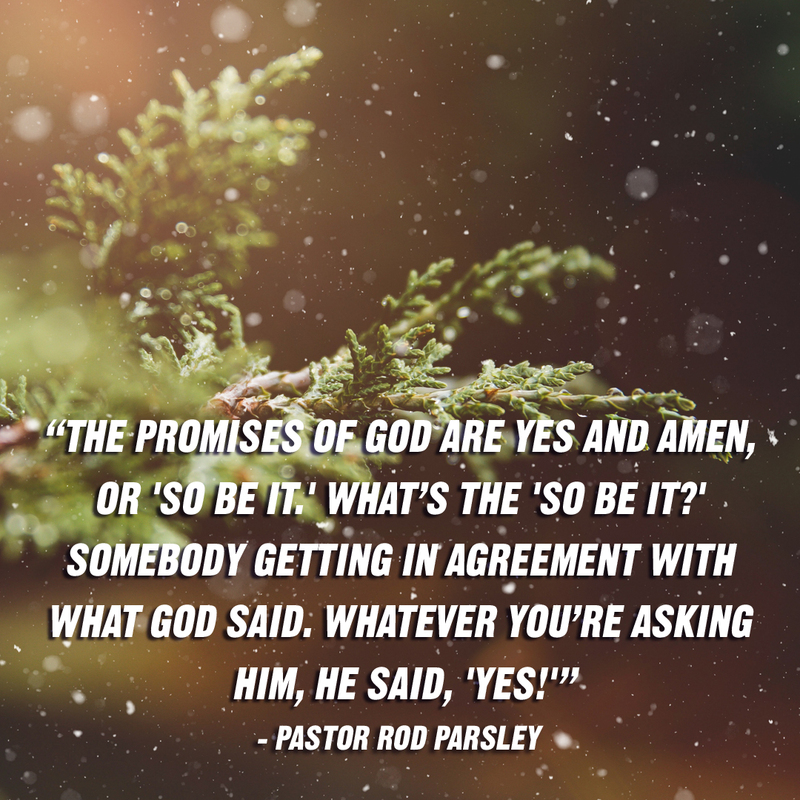 12/05/2017 — God invites us to ask Him for both what we need and what we want. And His promises to us are Yes and Amen. So all that we dare to ask Him in faith, we shall receive! What do you need to receive from God today? Come boldly before His throne and ask for it, because He delights in giving good things to His children. 11/28/2017 — God values His Word above His Name according to Psalm 138:2! And when He sends His Word to His people, it is for a divine purpose — to bless, to heal and to prosper us! His Word will return to Him through our praise and worship when it has fulfilled what He sent it to accomplish in our lives. We can receive His blessings joyfully, knowing we are part of His purpose, and offer praise and thanksgiving for all He will bring to pass in our lives! 11/22/2017 — One of the most important things we can thank God for this week is the gift of life — the life He gave each one of us, and the ability to advocate for a culture of life in our society. 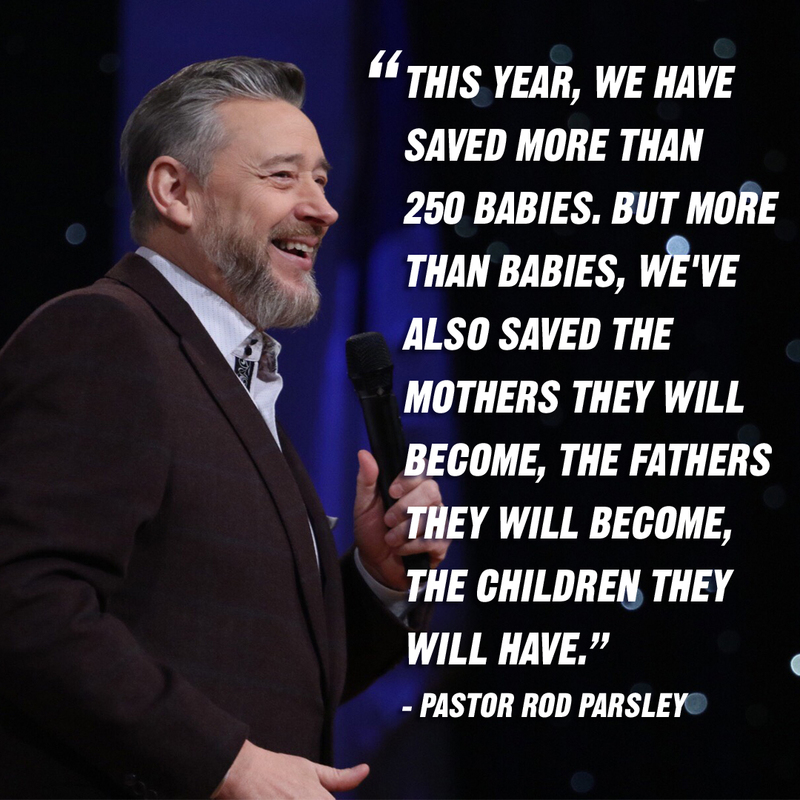 We can also thank Him for giving our pastor, Dr. Rod Parsley, the vision for The Women's Clinic of Columbus, a place where women can find alternatives to abortion and help for raising their children a short distance from both of Franklin County's two remaining abortion clinics. 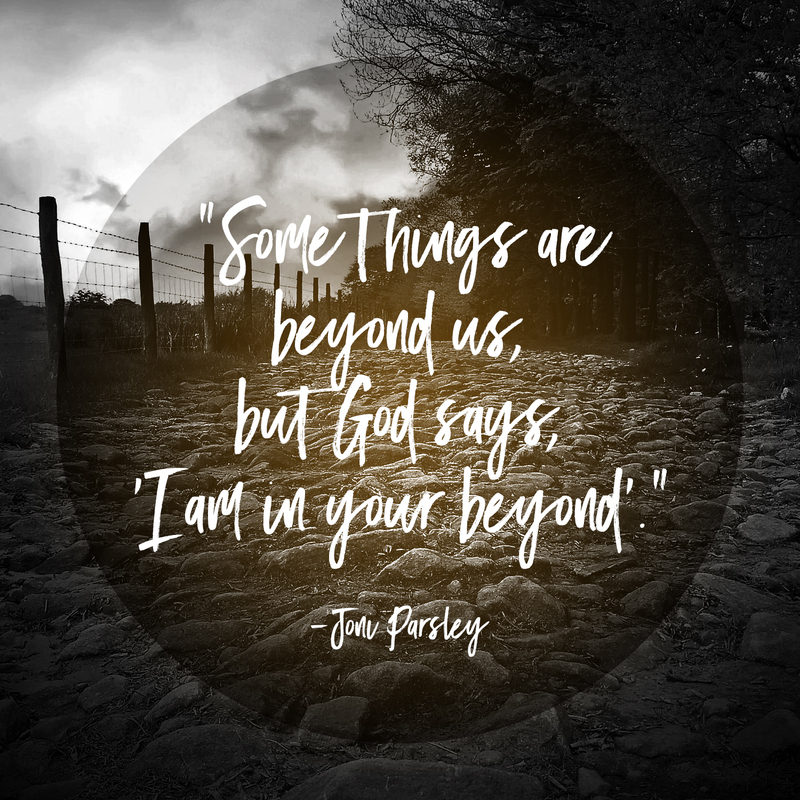 11/14/2017 — How big is your God? He does not cease to exist just because some people deny His supernatural power. He is still working miracles, so He might as well work one in your life today. Whatever you need — healing, deliverance, financial breakthrough, family salvation or any other outcome that mankind cannot explain is available to you today through the power of the blood of the Lord Jesus Christ! 10/31/2017 — The decision nobody can afford to put off is what to do about Jesus's invitation to an eternal relationship with you. We each have a choice to either accept that relationship and spend a lifetime with Him in Heaven, or reject the relationship and spend eternity without Him in Hell. Tomorrow is not promised to any of us, so the time to make that fateful decision is now! 10/17/2017 — The Church was created to do two things: win souls and disciple believers. At WHC we have been divinely positioned to both, having facilitated more than 1,000 salvations in the past few weeks and baptizing 70 new believers this past Sunday — all before the greatest soul–winning event of our year, Master's Welcome, begins this week! 10/10/2017 — If we are each to pursue The One — a person in our lives who is far from God and needs to hear about Him from us — we must have the power of the Holy Ghost in our lives. The Holy Ghost emanates from us, making us irresistible to those who will be attracted to His work in our lives, and also gives us the words to say and the actions to take to love The One into the Kingdom. 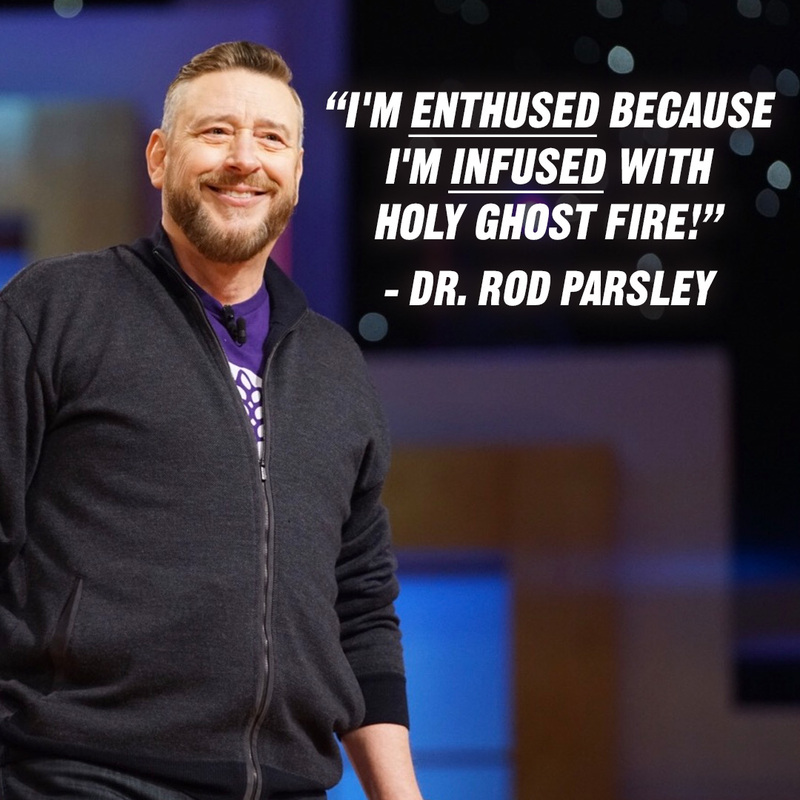 Be filled with the Holy Ghost today! 10/04/2017 — God's nature, His character, is not to say “No” to you. It is to say “Yes!” to you. But we are challenged to say “Yes” to Him in return. 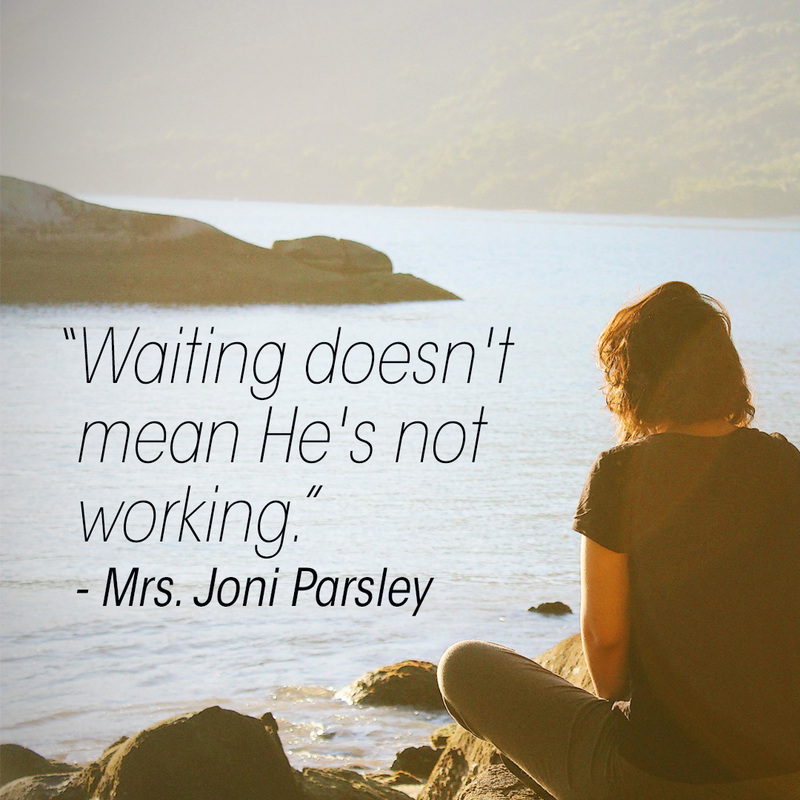 He is waiting on your “Yes,” so He can move in you and through you! 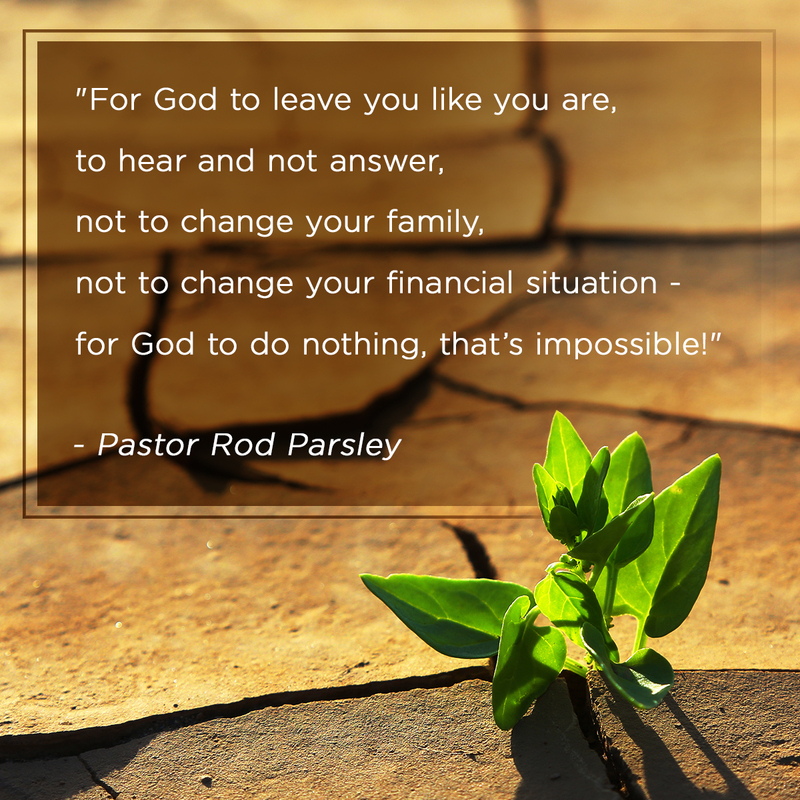 When we tell God "No" (out of fear or pride,) He can't operate in us. Say “Yes” to God today for many reasons, but including the fact that someone else's “Yes” depends on your own. 09/19/2017 — The Church and all its members do nothing more important than to reach The One — someone within our circles of influence who is far from God — for the Kingdom! All other priorities fade in comparison to what we are called to do. If we say that we “Love God, Love People,” but do not prioritize winning souls for Jesus, we're not obeying His commands. 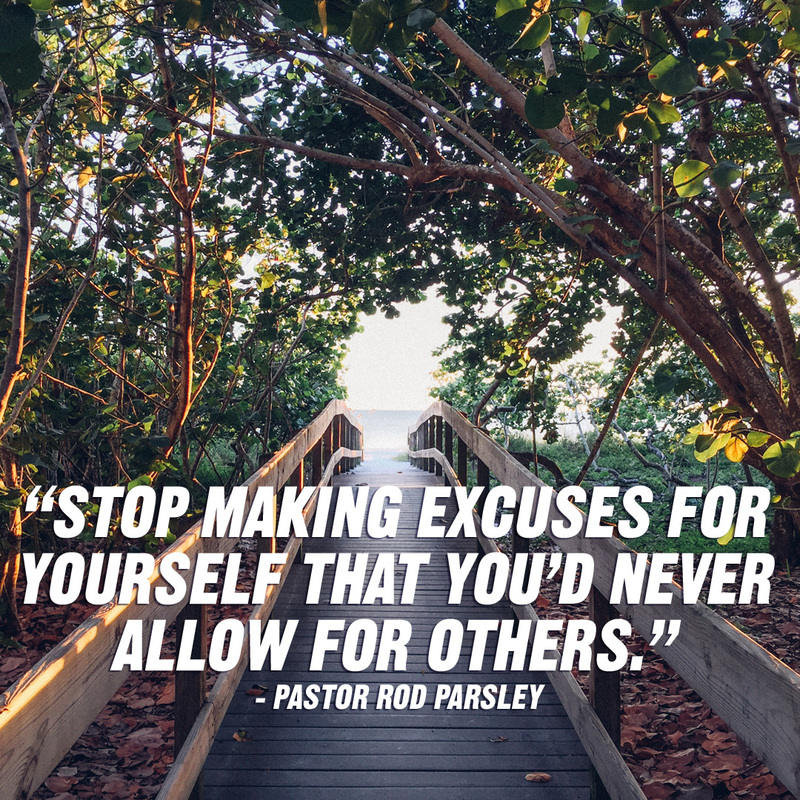 We must be the Church for others! 09/14/2017 — We are in a season when all the conditions for Jesus's return have been met. It may not happen today or tomorrow, but the time is surely near! It's imperative that the Church act as though this reality was a matter of urgency – because it is. People who are on course to miss Heaven are all around us, and it's up to us to love them enough to introduce them to our Lord Jesus Christ. 09/06/2017 — Today’s media is so pervasive in our lives that we’ve lost our ability, or our inclination, to connect with others — even with our families. 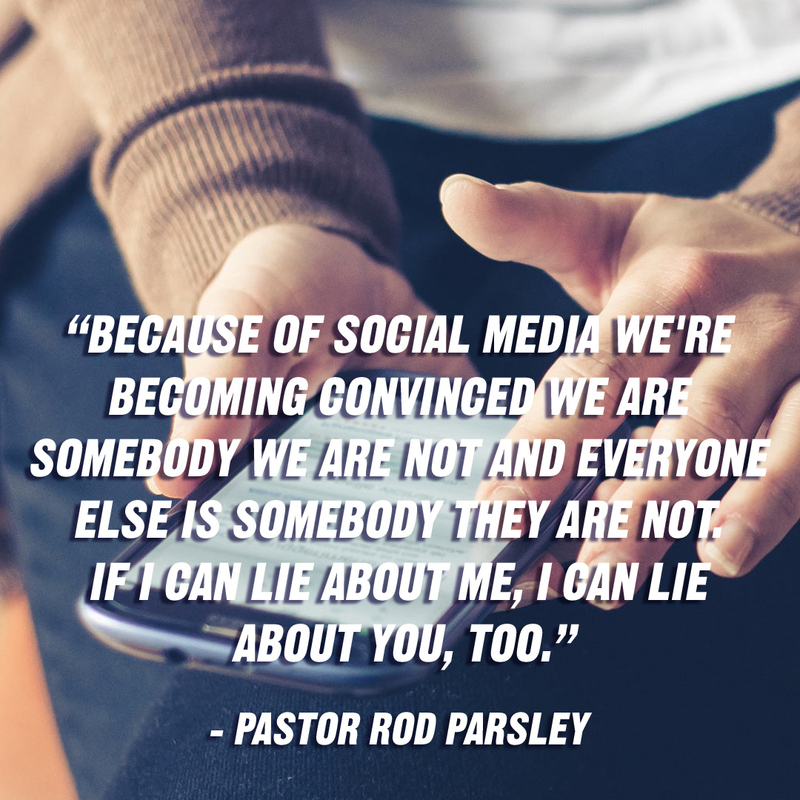 We’ve become susceptible to the tactics of God’s enemies — liable to believe any "fake news" we’re fed — while ignoring the Good News, which God provided us to point us to Jesus. We need to align our lives with the truth of the Bible! 08/29/2017 — Praying God's Word is to stay in His will. He longs to answer the prayers of His children, and to give them the desires of their hearts. 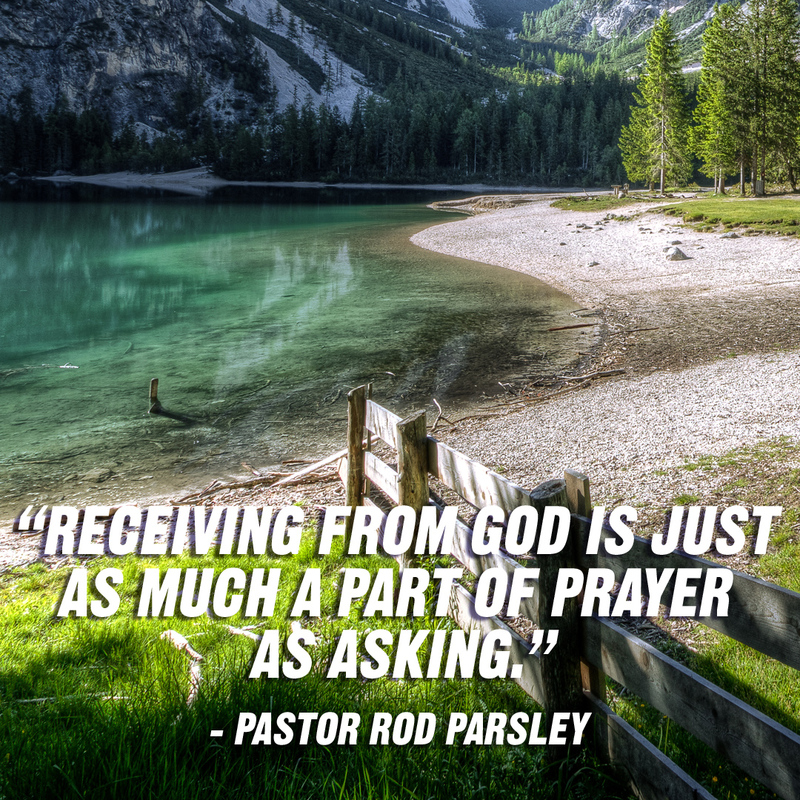 Prayer is communing and conversing with God, so we can ask of Him and receive from Him. 08/23/2017 — God purposes reconciliation between opposing sides — what an incredible reality to bring to bear on our racially divided culture! Our nation does not have a skin issue; it has a sin issue. 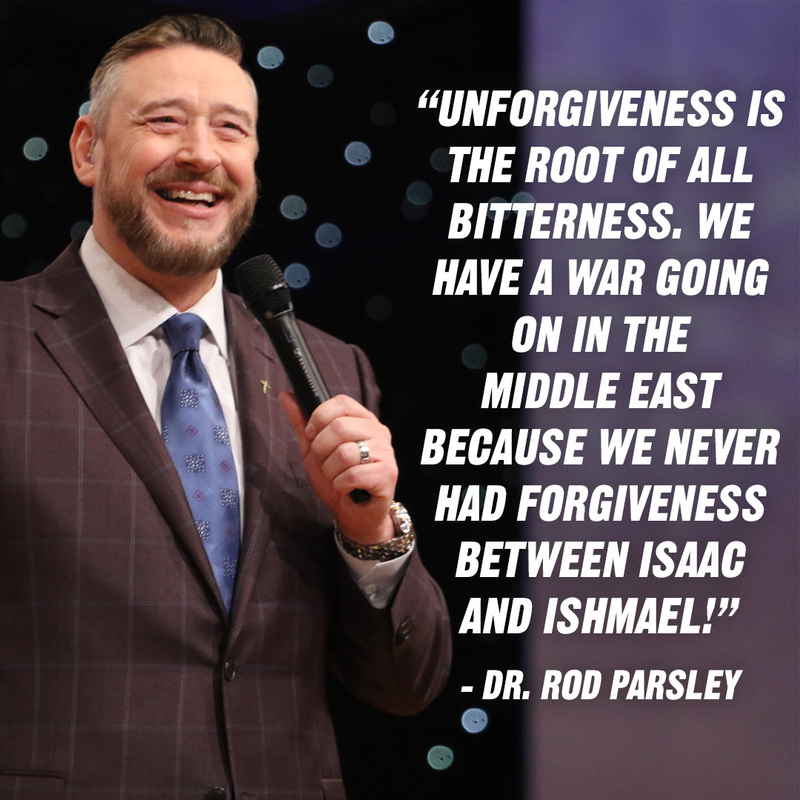 What Christians can bring to the discussion is unconditional forgiveness and extravagant love. We love because God first loved us, and He commands us to be reconciled to others. Now more than ever, it's time for us to be about our Father's business. 08/16/2017 — This past weekend's demonstrations in Charlottesville, Va., which culminated in violence, were heartbreaking and infuriating. A national crisis of empathy is at the root of racial unrest in the United States. We have not arisen to our destiny as a nation, and we never will as God has defined our purpose, until we see the forces of animosity and hatred and the walls of division destroyed by the crush of righteousness and love. 08/08/2017 — The adversary of your soul wants you complacent in your faith — satisfied with what's always been, going through the motions and not experiencing growth in your relationship with God or His mighty power. We must refuse to stay the same! It's time to stir yourself up and adopt a posture of expectancy — it truly is the beginning of signs, miracles and wonders in your life! 07/11/2017 — Believers need to continually praise God, not only for what He has done for them and through them but what He is going to do in the future. He's already in the future, and we need to focus on our futures more than on our pasts or our present circumstances. 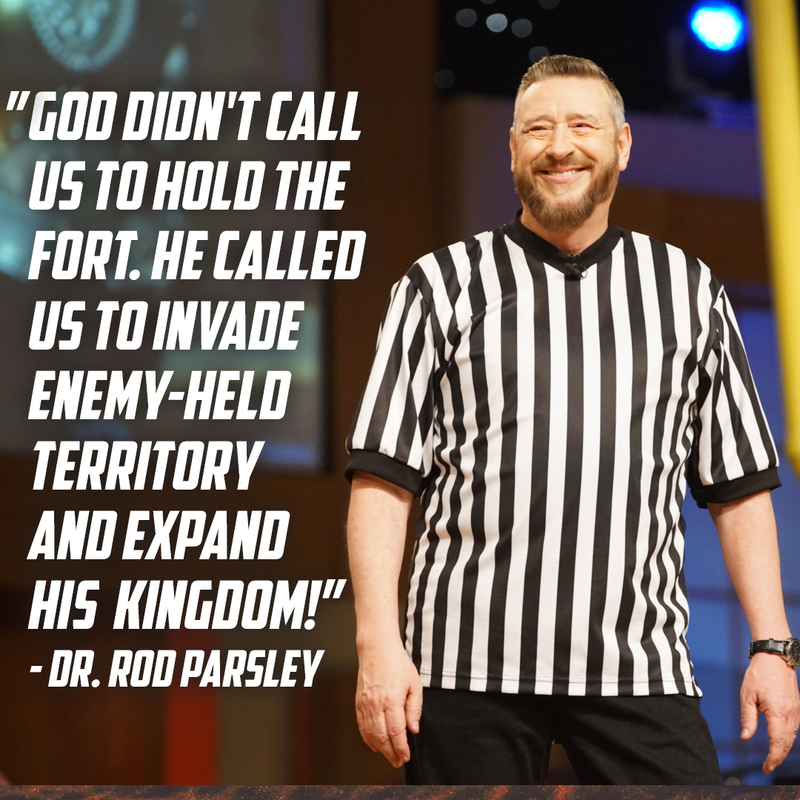 He is protecting us in our futures, so we can declare our enemies must go to the outer ends of the earth, away from us! 07/03/2017 — The Pentecostal Church, thought to be in decline and even in the throes of an inevitable death, is coming back to life – and God is using us to be part of its resurrection! 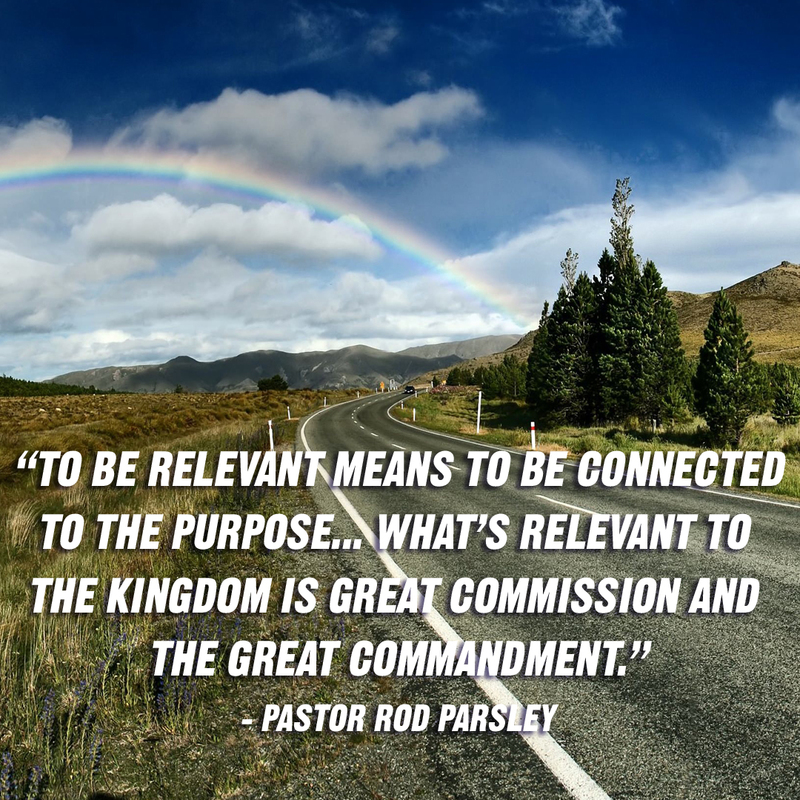 And we will be relevant because of our message, which is all about the only two things that will always be relevant: the Great Commission and the Great Commandment! 06/20/2017 — You don't need a book to understand what a father is and what he does — just look to your Heavenly Father! Whether you are a father or a child, or both, seek His example first. 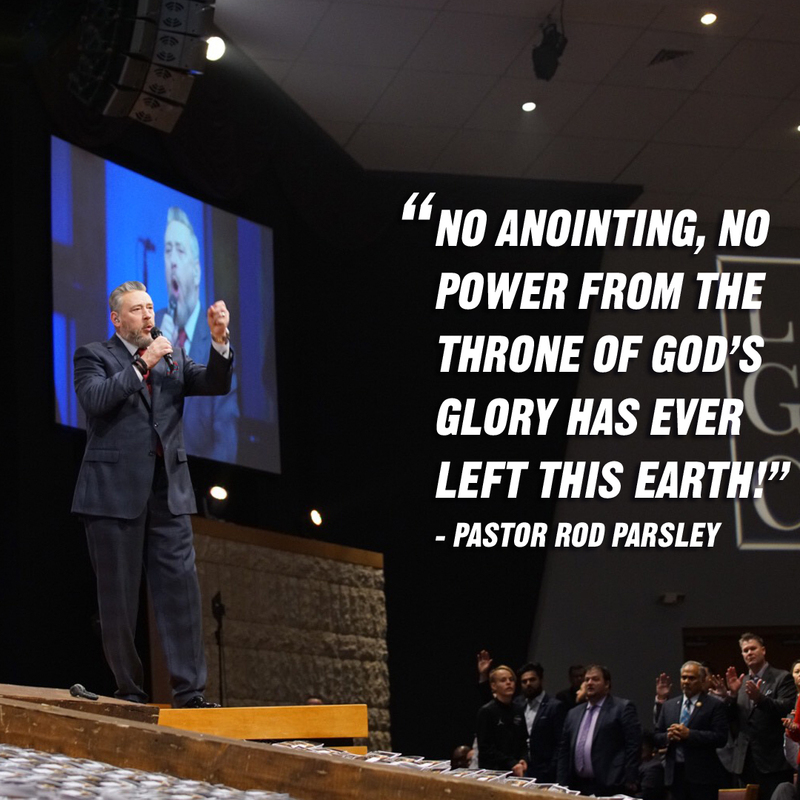 06/13/2017 — As we prepare for Dominion Camp Meeting, the seven–times–greater anointing Pastor Parsley received as he stepped into a new phase of his life will begin to manifest with the establishment of a new network of Holy Ghost churches across the nation. It's all being done in the name of adding souls to the Kingdom of God, so the Lamb who was slain might receive the reward of His suffering! 06/06/2017 — God is called an "all–consuming fire" in Scripture, and manifests two properties of fire in your life. He obliterates and annihilates the works of the devil in your life, and He removes impurities from your life so you can have stability. He will deliver you from anyone or anything that hinders the manifestation of His purpose in your life! 05/30/2017 — Memorial Day honors the men and women who gave their lives to defend American interests as part of our fighting forces, and their families. In the Church, we recognize the sacrifice of Jesus Christ for the propitiation of our sins, and the privilege of battling the forces of darkness around us as His ambassadors. May we never forget the importance or privilege of sacrifice! 05/23/2017 — You are a man or woman of valor, and with God on your side you have the ability to defeat any devil that may come against you. Don’t worry about the numbers that may or may not be on your side, because your victory is assured when you rely on Him! Be encouraged and let the Holy Spirit revive your dream — it’s time to dream again! 05/16/2017 — Our mission field is all around us — they are the 80 percent of our community who will not enter a church without our invitation. We have been commissioned by God to win His harvest of souls. And because we have the commission to reap that harvest, He has also given us everything we need to be successful at reaping it! 05/09/2017 — Within 12 miles of WHC Columbus are 576,000 people who will most likely never enter a church of any kind in their lifetime unless somebody reaches them. The same situation exists in other cities, as well, and WHC is putting the logistics and finances in place to reach other locations with the Gospel as well! 05/02/2017 — God has established His pattern in the universe. The Bible is full of accounts of men and women who aligned their lives with that pattern – and when they did so, His glory fell on their lives. When you align your life with His pattern, His glory will fall on you, as well, to meet you at your point of need! 04/26/2017 — Two men set out from Jerusalem to Emmaus the Sunday after Jesus’s crucifixion, heartbroken and without hope. But an encounter with the risen Jesus took them from heartsick to heart–searching to heart on fire! An encounter with Jesus will do the same thing for you today. 04/18/2017 — Throughout His life, Jesus conquered death. He did it once and for all on the first Easter, when He rose from a borrowed tomb, never to return to it, so you and I might live forever with Him in heaven! 04/11/2017 — Resurrection Seed season highlights God’s laws of sowing and reaping. The process of exchange requires that we do something on our side of the equation for Him to do something on His side of the equation. God gives seed to sowers, not takers. 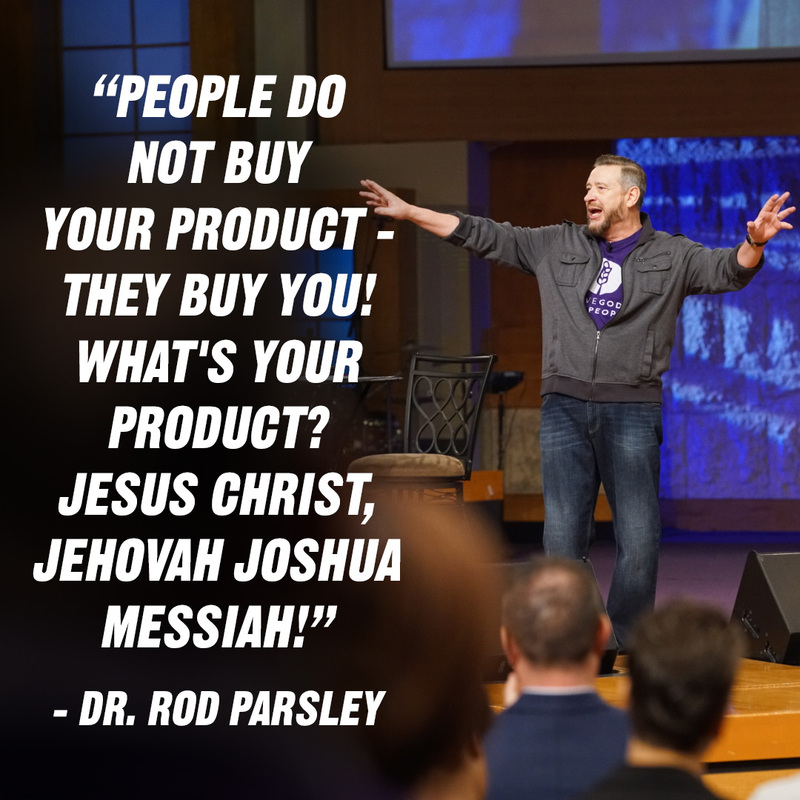 04/04/2017 — Sometimes, the Holy Ghost disrupts our plans to get our attention! We experienced a service of healing, deliverance and other miracles at WHC. 03/28/2017 — Whatever you need — physical healing, family salvation, deliverance, prosperity or something else — is a harvest that you already possess in the form of a seed. But you must sow the seed, and when it dies — which is its nature — it will resurrect in the form of your harvest to meet your need! 03/21/2017 — Every believer needs energy to communicate the Gospel to others. The energy in your heart is far more powerful than the energy in your brain. We are enthused because we are infused! 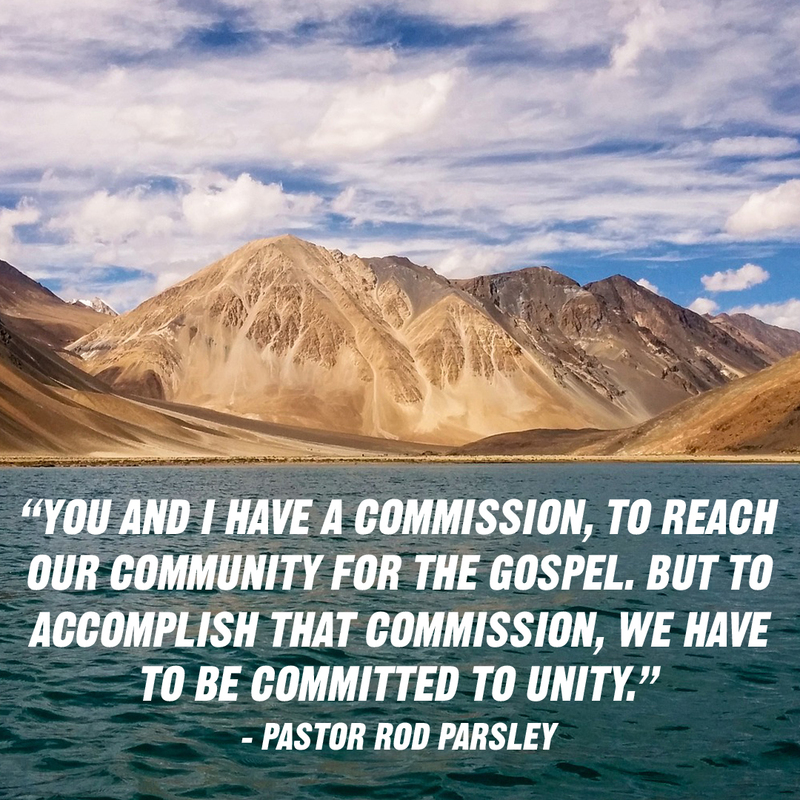 Commit to sharing the Gospel with enthusiasm — especially to some of the 576,000 who live near WHC and are likely far from God — and signs, wonders, miracles and a vibrant local church will result. 03/14/2017 — World Harvest Church has begun a new era, with a specific focus on impacting the communities it serves with the love of our Lord Jesus Christ. Our God–ordained purpose is to reach the lost for His sake — and we will win them when we demonstrate enthusiasm for Him and our purpose. 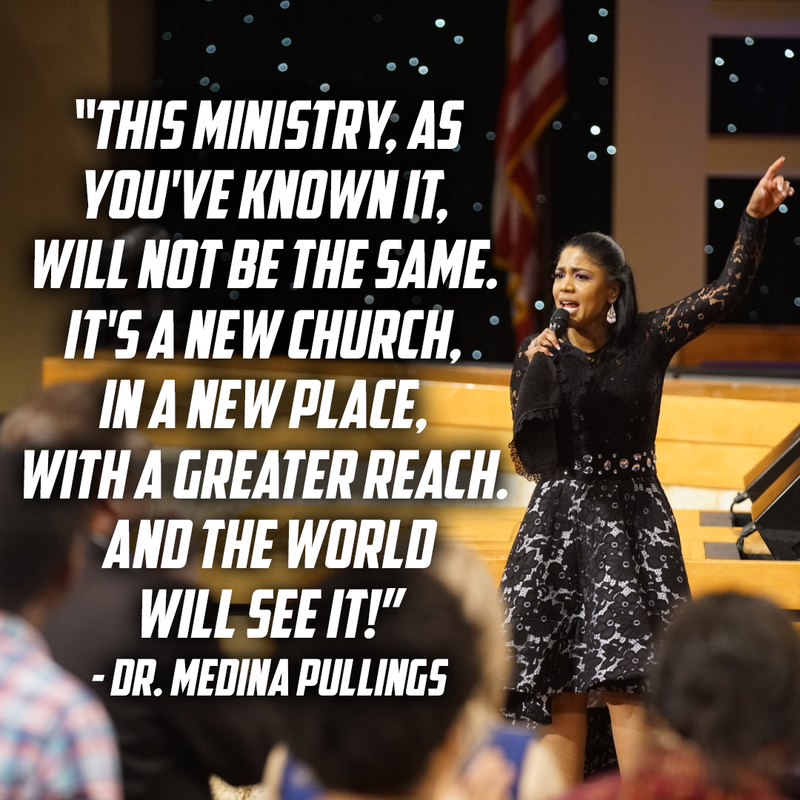 03/07/2017 — Our guest speaker, Dr. Medina Pullings, shared a prophetic dream that confirms and expands upon everything that our senior pastor, Dr. Rod Parsley, has been sharing with us throughout the first two months of the year. 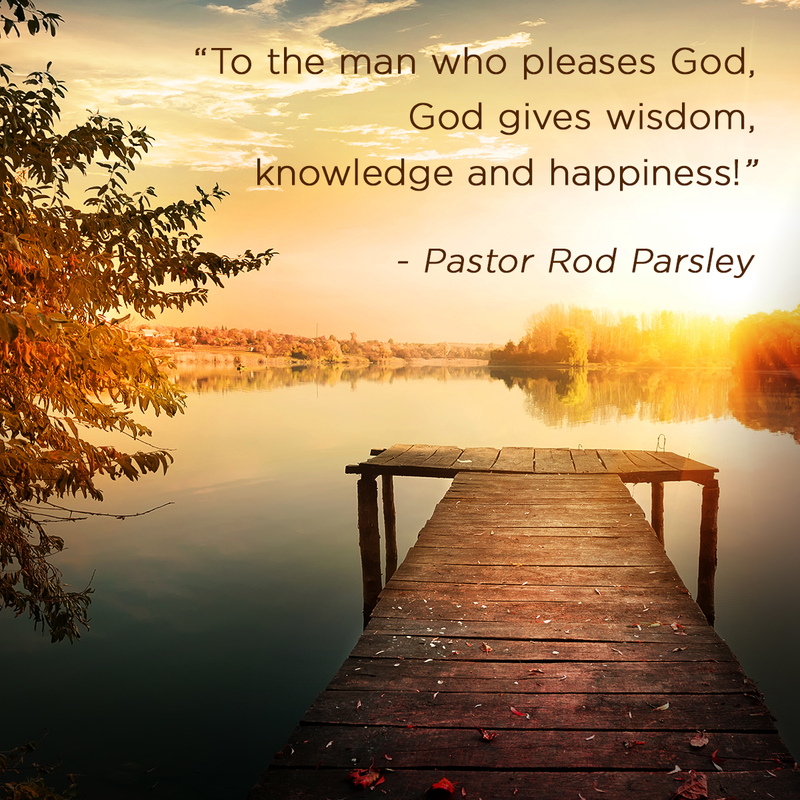 God has great things in mind for WHC! 02/28/2017 — A sovereign God chose you to carry His armor! You are also made in His image and likeness — so what is there that you cannot accomplish? 02/21/2017 — Jesus is the Alpha and the Omega, the beginning and the end. But He’s also at work in your life now — in the middle! The Finale: What’s in HIS Closet? 02/14/2017 — Jesus’s return to Earth is very close. Only two prophecies need to be fulfilled before it can happen: the restoration of the land of Israel to the Land of Promise and the restoration of temple worship on Mount Moriah. Jesus will return at some point after those two prophecies are fulfilled. 01/25/2017 — In the Lord Jesus Christ’s very first public teaching, the Sermon on the Mount, He began with a popular passage known as the Beatitudes. 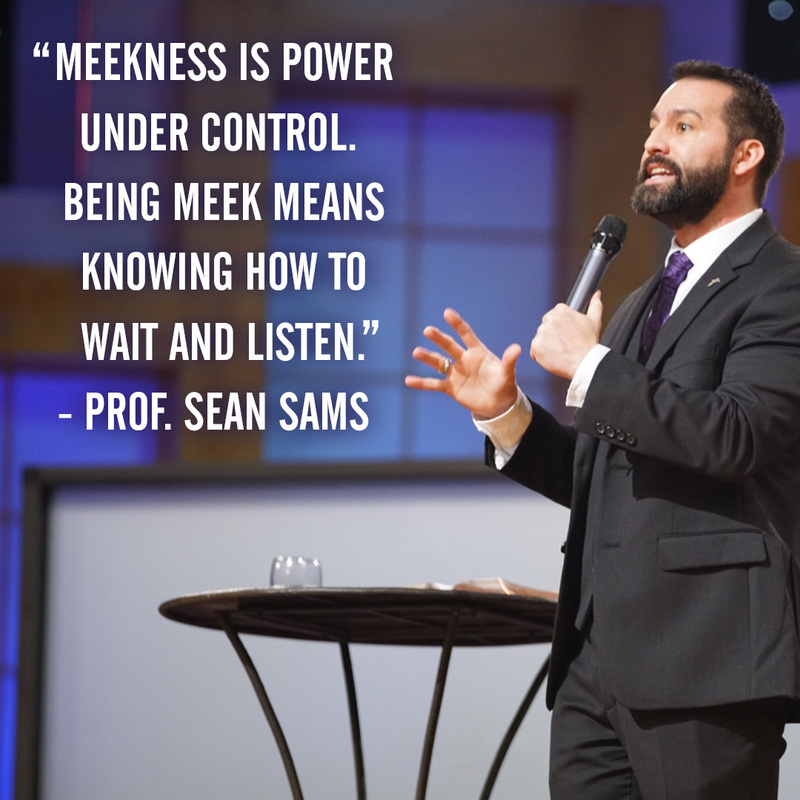 Professor Sean Sams expertly broke down this passage for us, showing that the core message of the text is “Love God, Love People” – which WHC has adopted for its mission statement for 2017 and beyond.